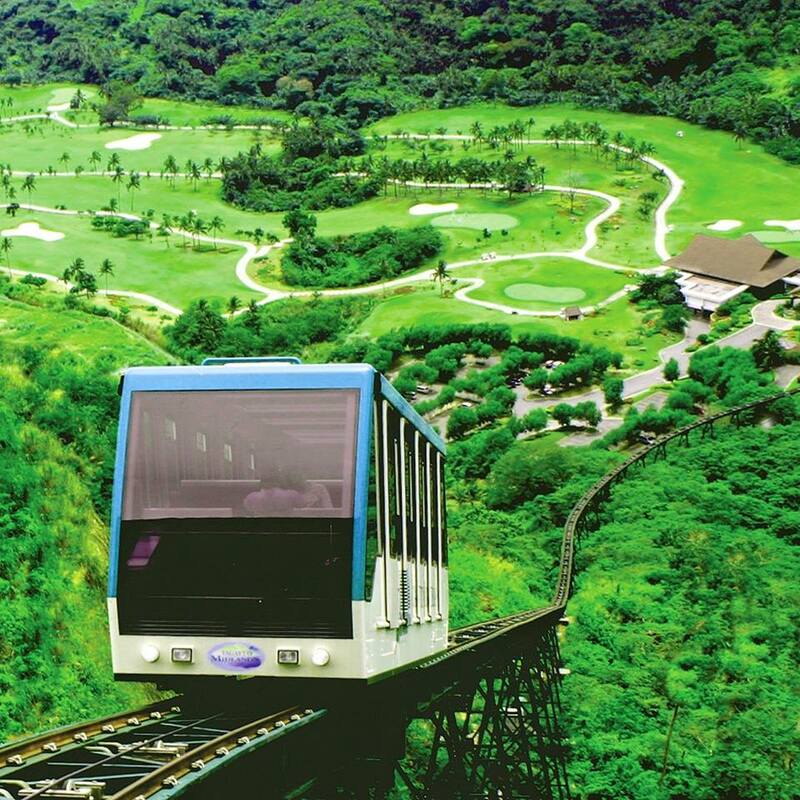 ​This country's first and only Swiss-engineered cable car system provides magnificent views of the golf course and countryside. 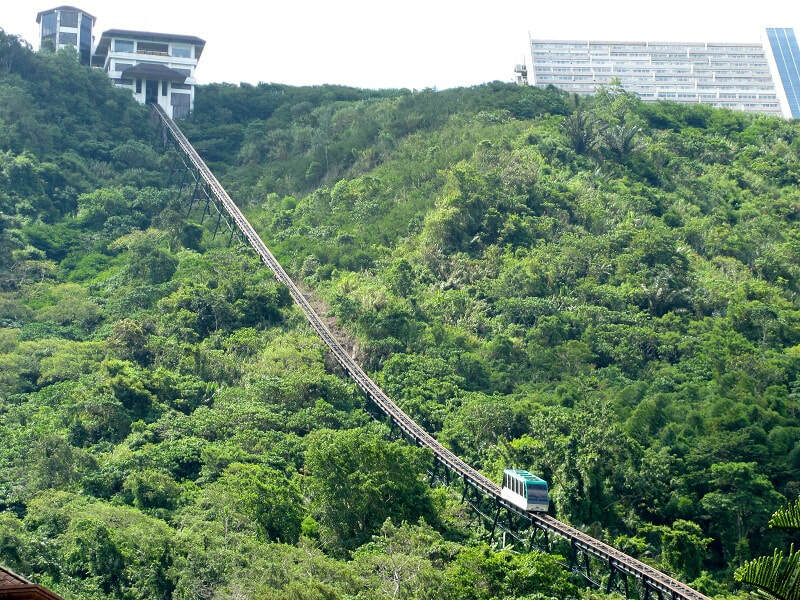 ​Cable car and funicular are TEMPORARILY CLOSED due to on-going preventive maintenance to provide a better, safer ride. 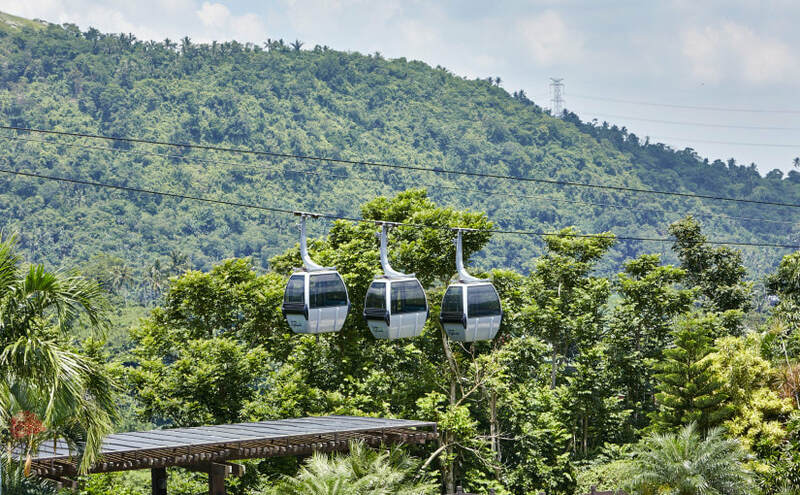 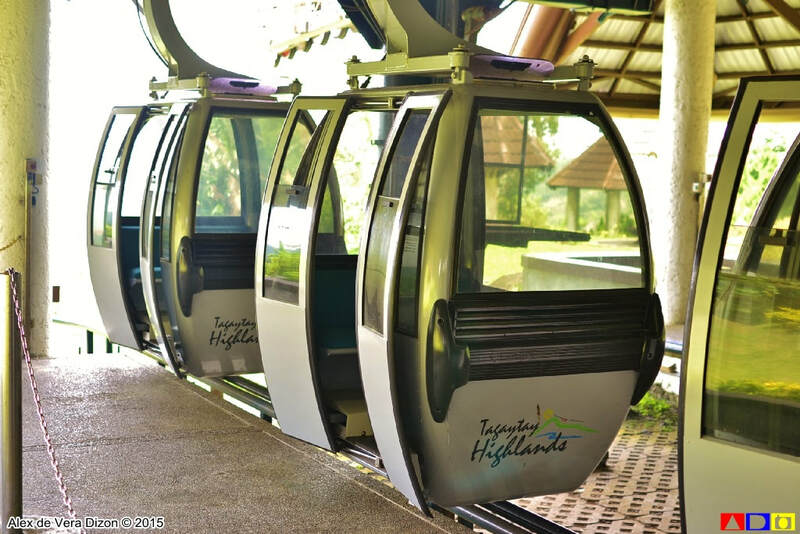 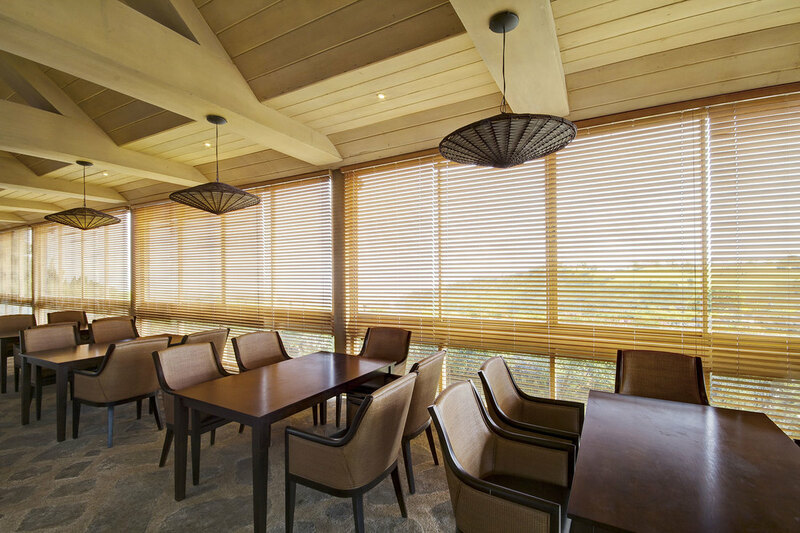 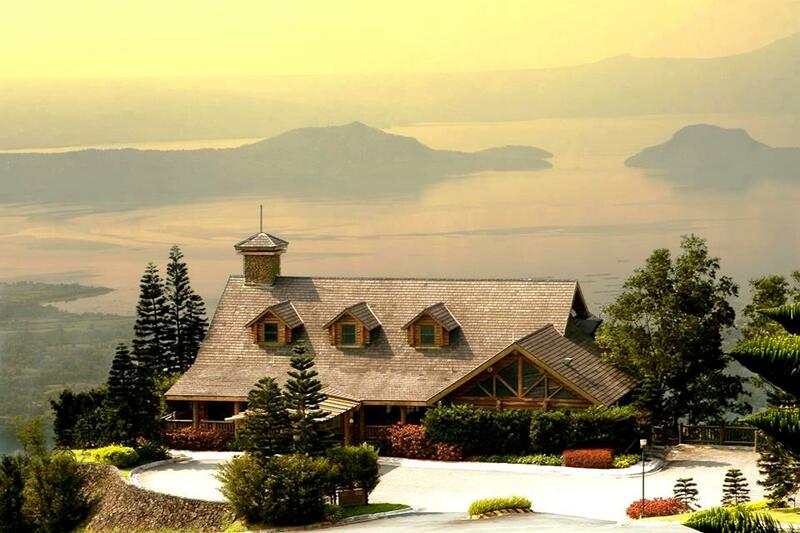 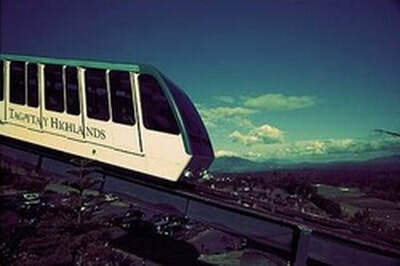 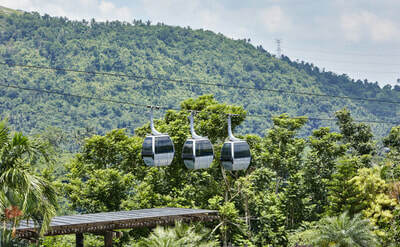 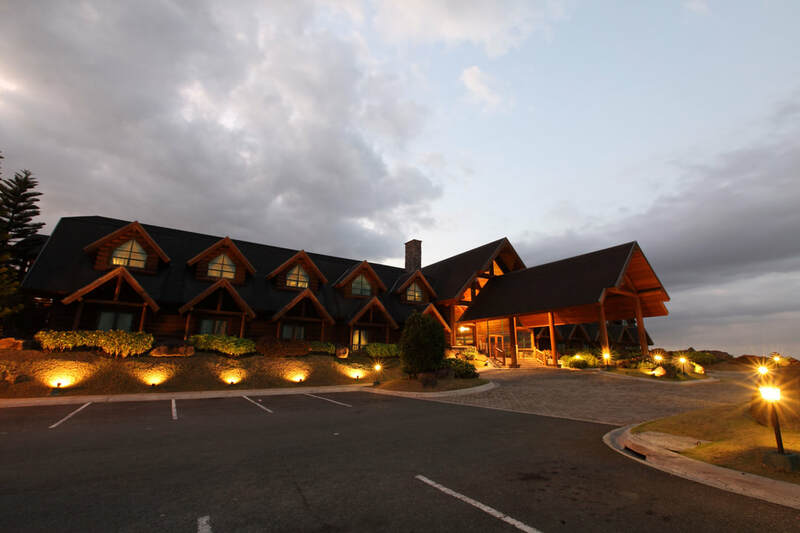 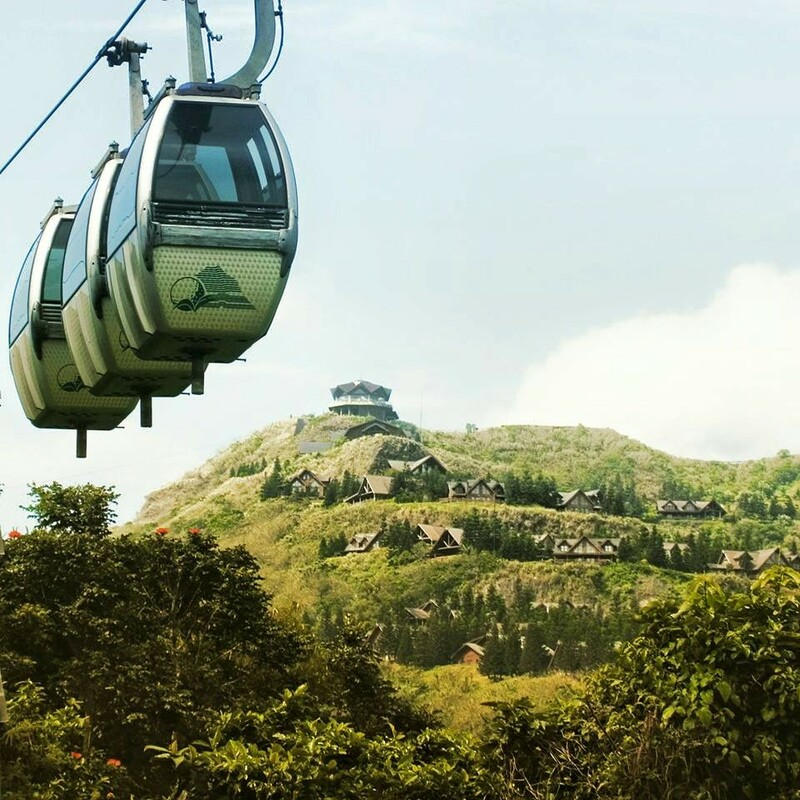 ​A transport system which takes members and guests to and from the Highlands (summit terminal) / Midlands (base terminal) Clubhouses while offering a panoramic view of Taal and the Midlands Complex. 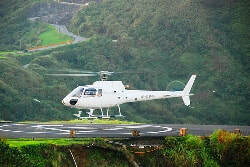 ​_Helipads - for members to fly into and out of the complex two helipads, one near Highlands Peak and the other near Camp Highlands shuttle service is available from the helipads to anywhere within the complex and back, total capacity: 6 helicopters (3 at each helipad). 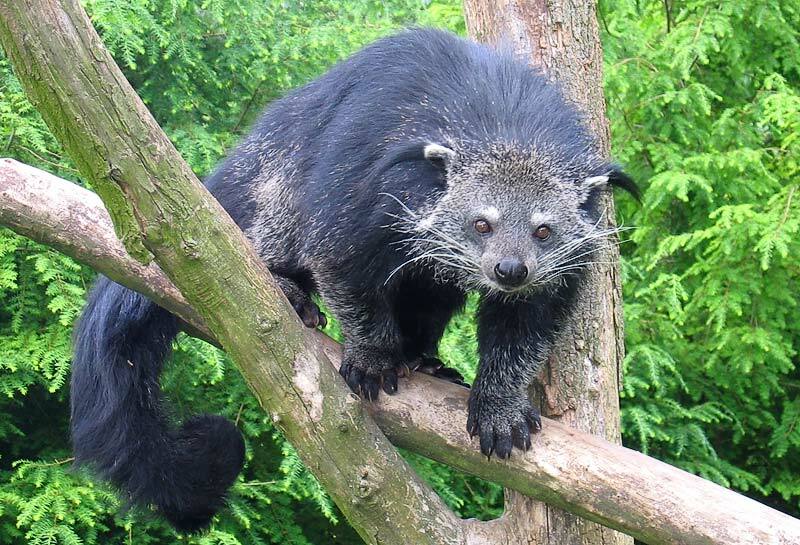 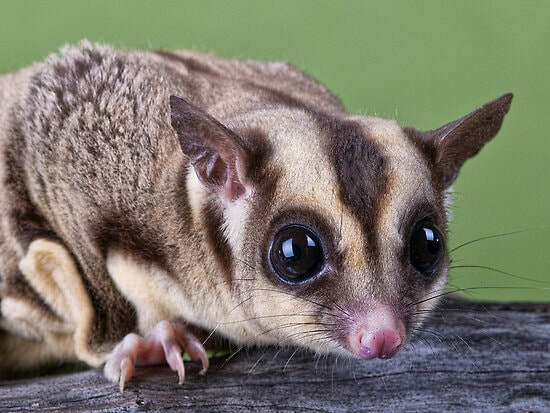 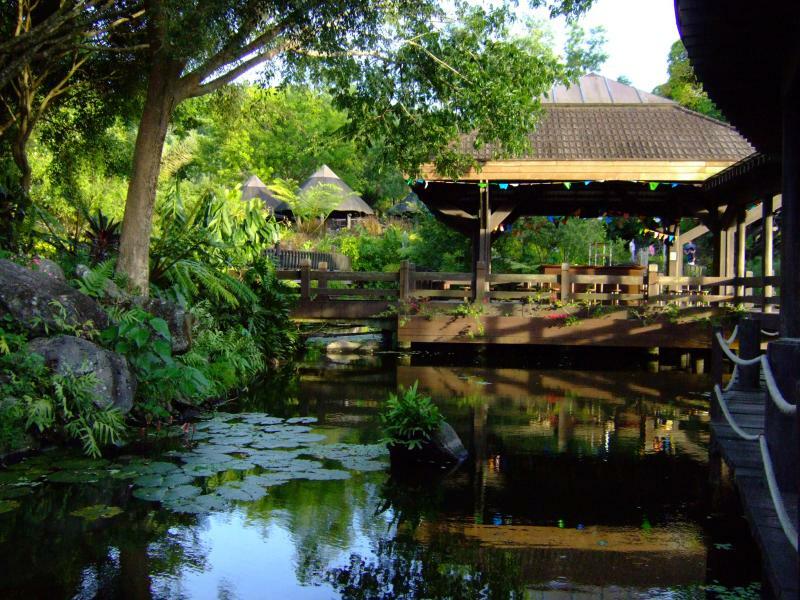 A petting zoo and home to miniature animals from different parts of the world. 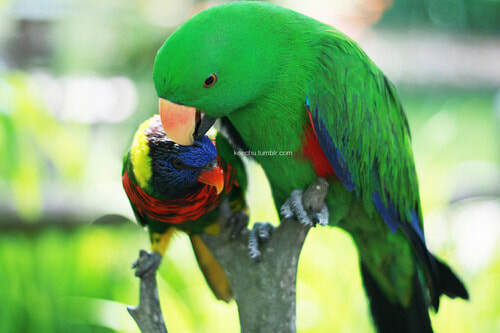 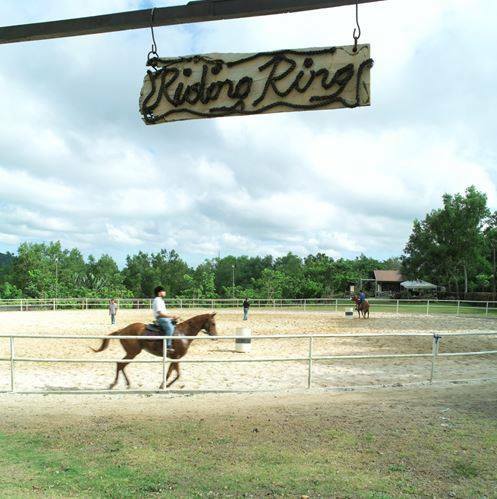 Equipped with veterinary doctor and open for consulting services. 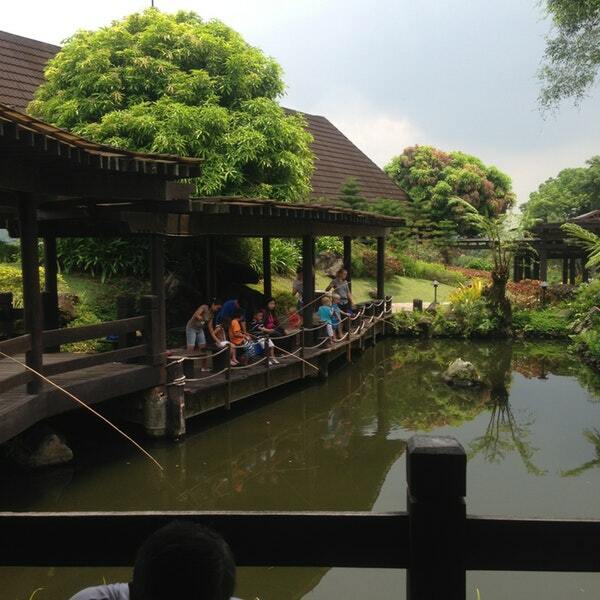 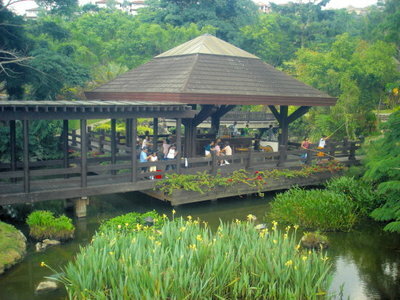 ​A round at the fishing pier likewise provided precious bonding moments between parents and the special children. 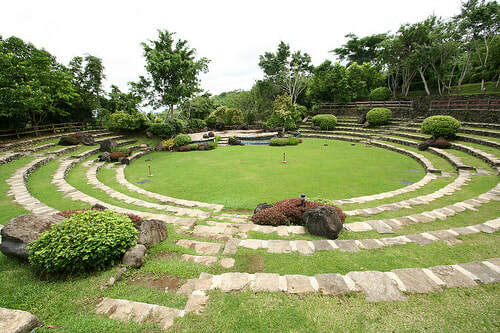 ​The cinema makes you feel assured that you will always have a good film to watch in the countryside. 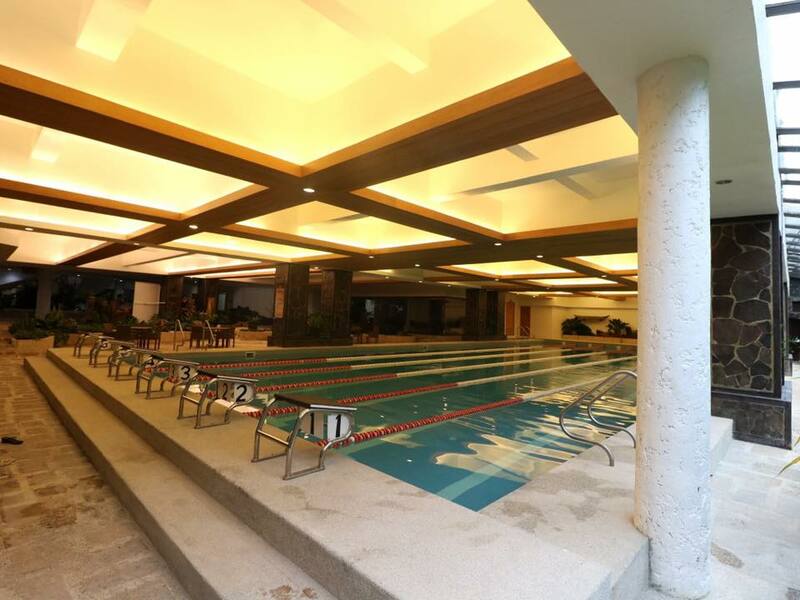 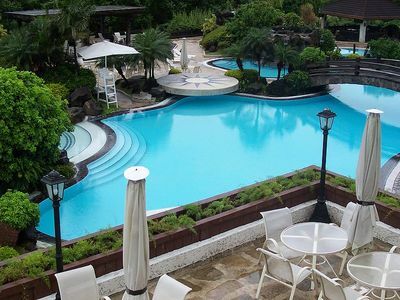 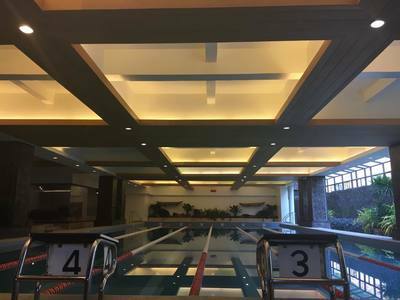 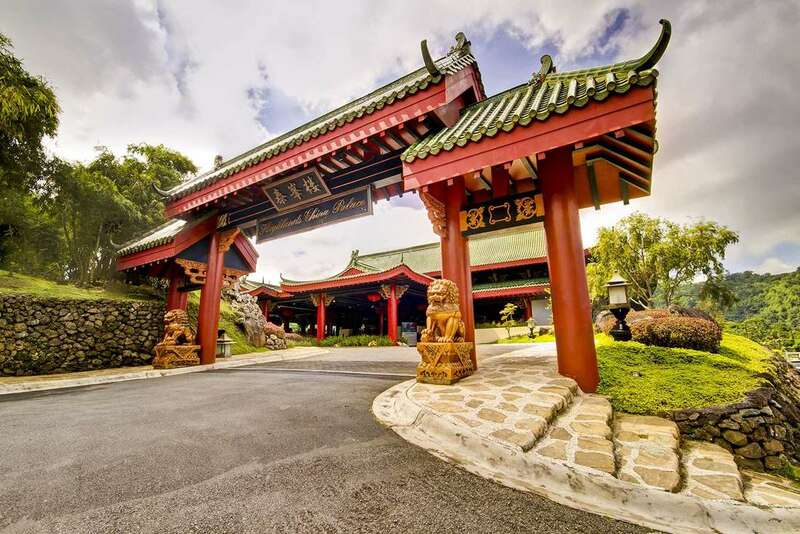 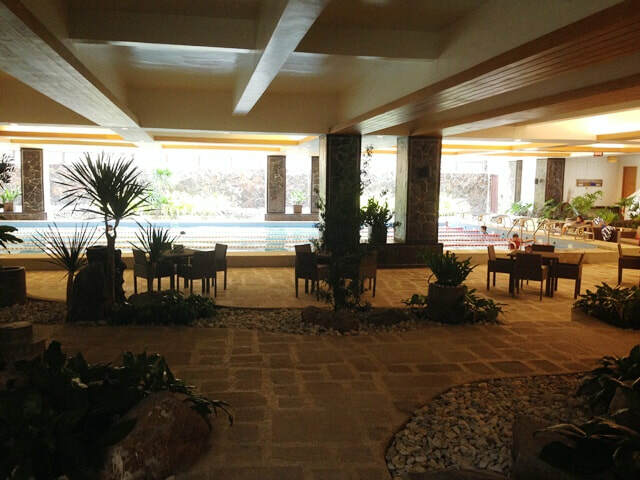 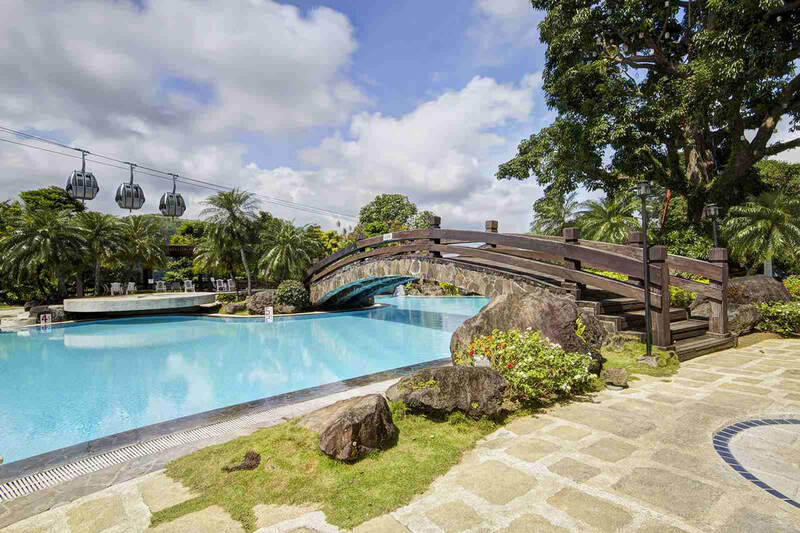 Located just a stone’s throw away from the Midlands Golf Clubhouse, and commanding a sweeping view of Taal Lake and the Batangas countryside. 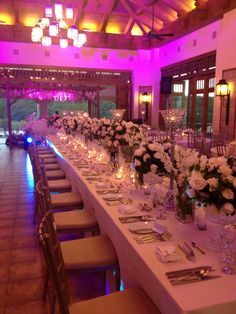 All the future brides out there may now realize their dream of getting whisked off from the wedding ceremonies to the wedding reception. 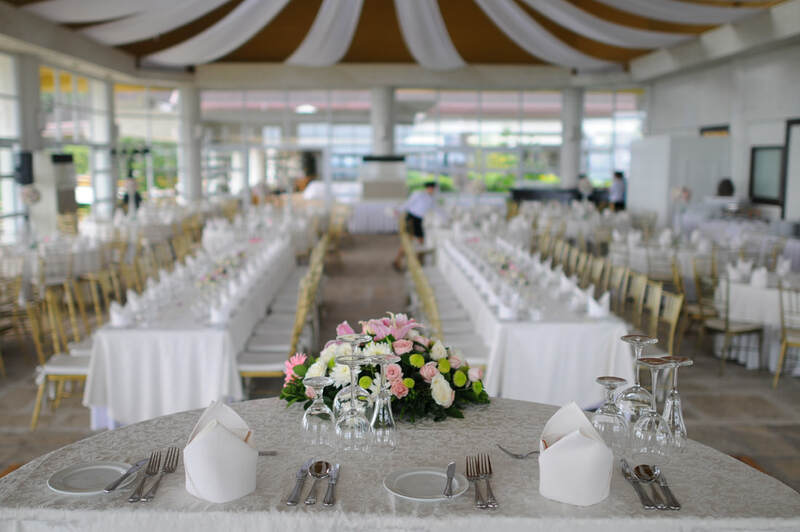 There will be no need to have to travel hours to get to the reception venue, and run the risk of getting trapped in dreadful traffic – leaving your poor guests waiting, not to mention starving! 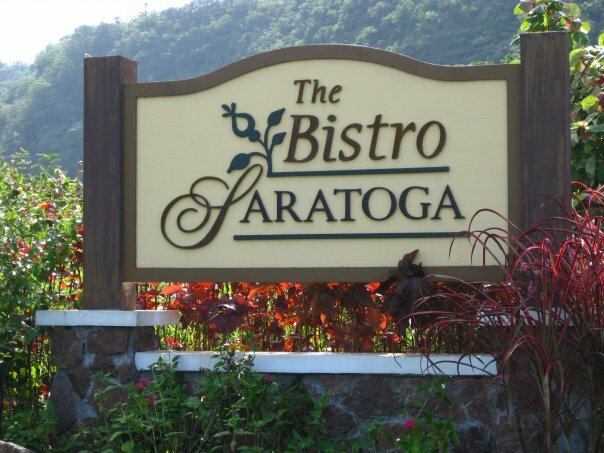 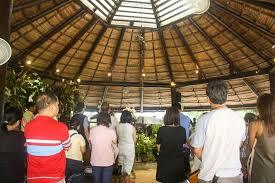 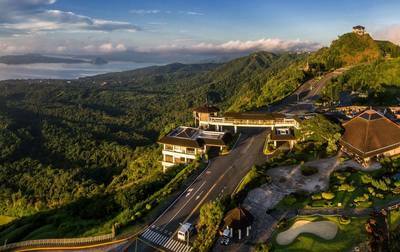 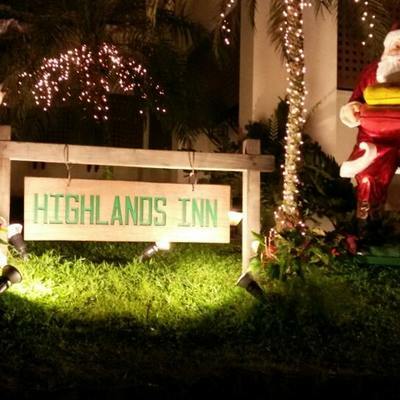 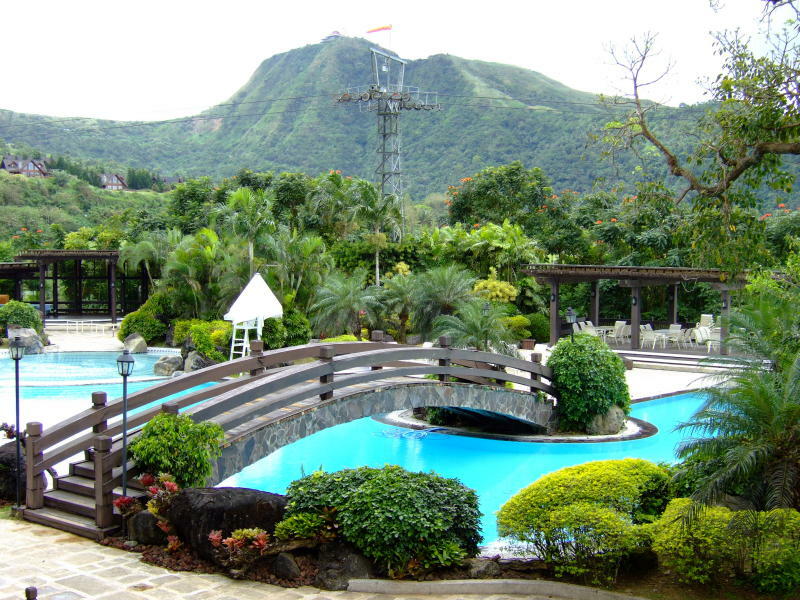 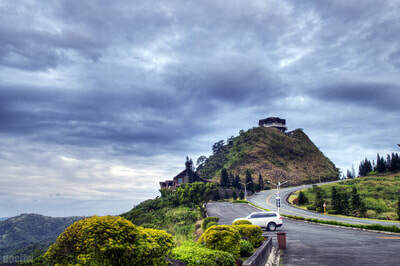 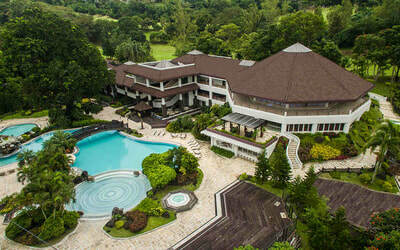 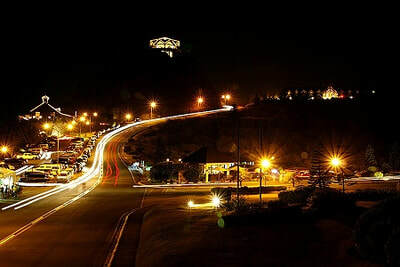 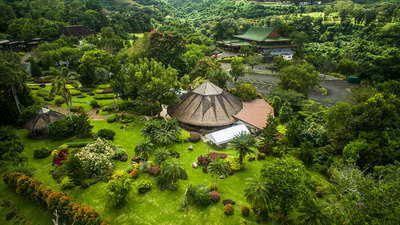 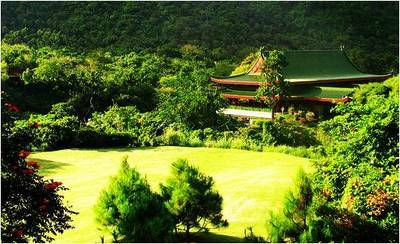 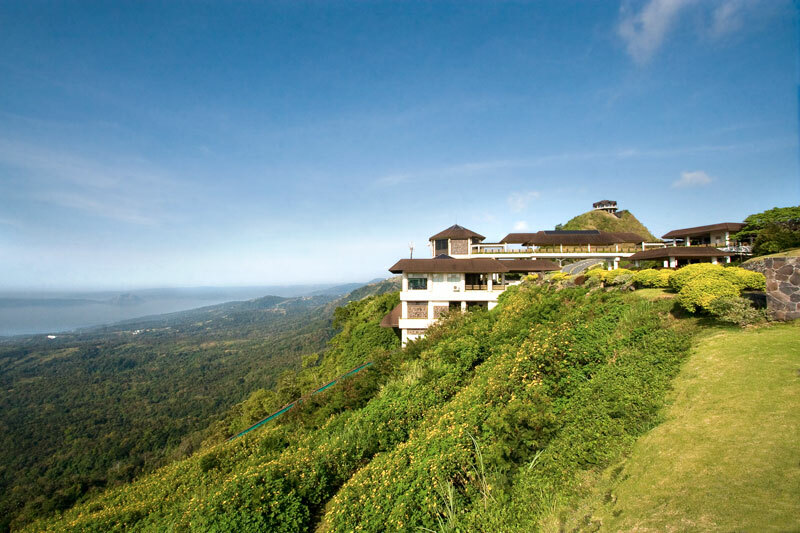 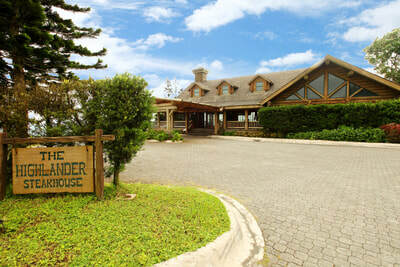 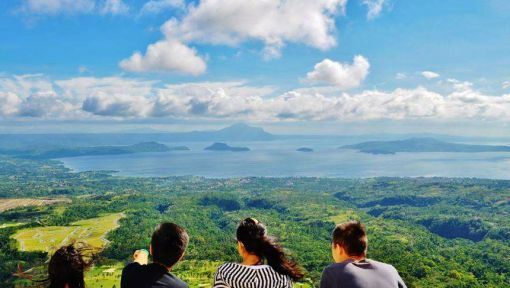 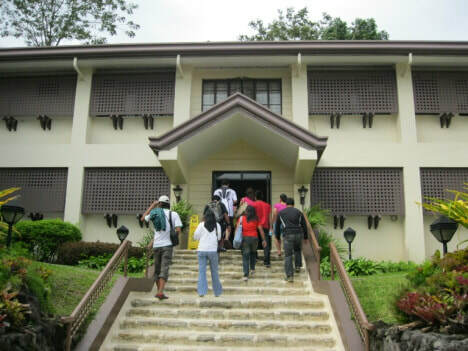 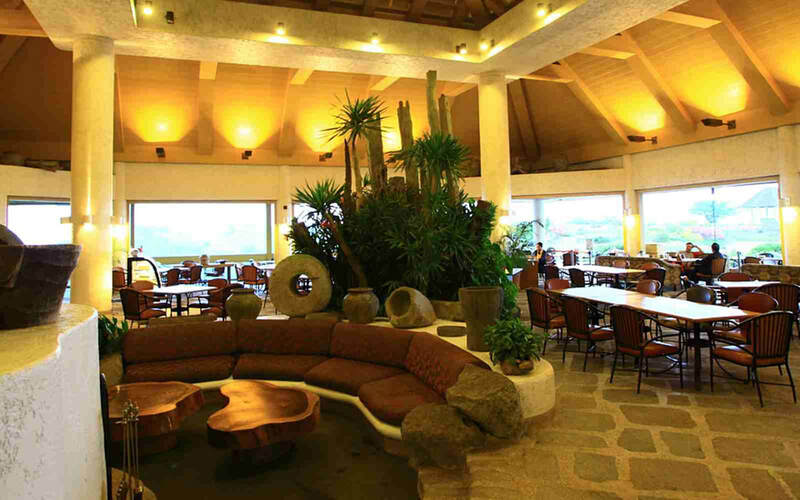 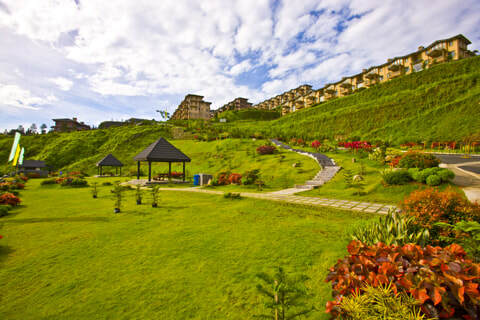 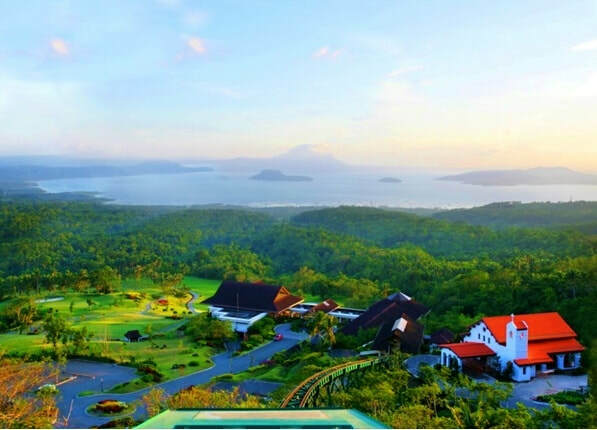 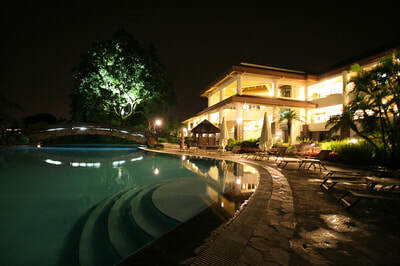 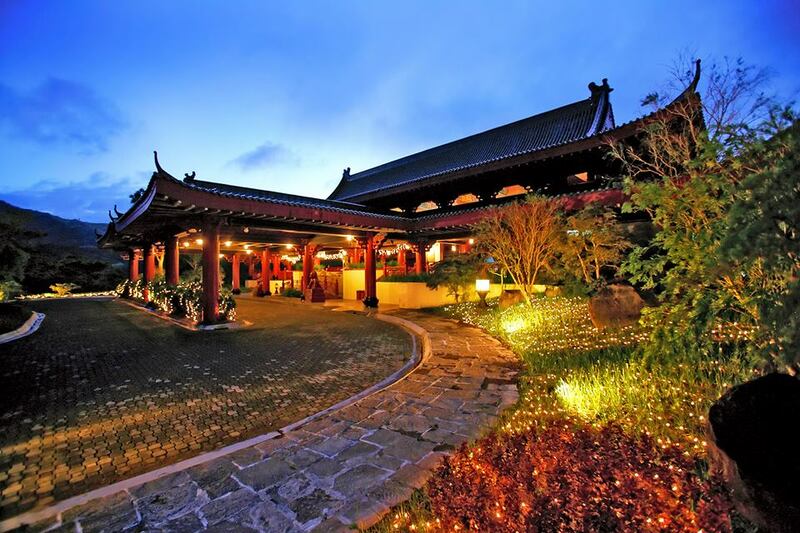 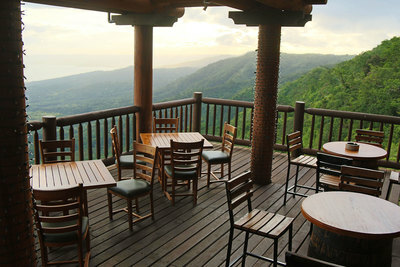 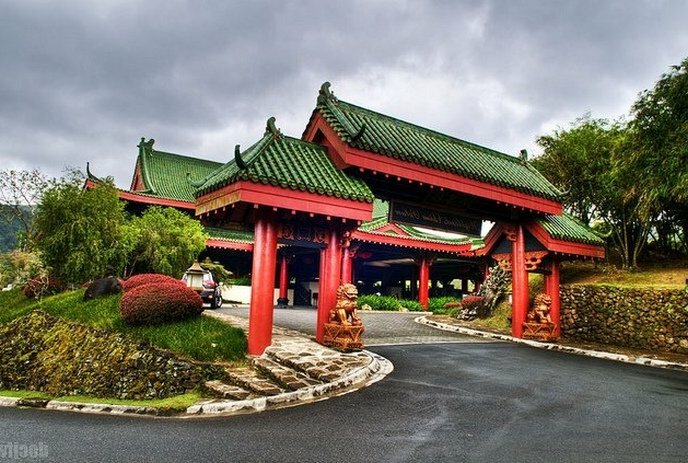 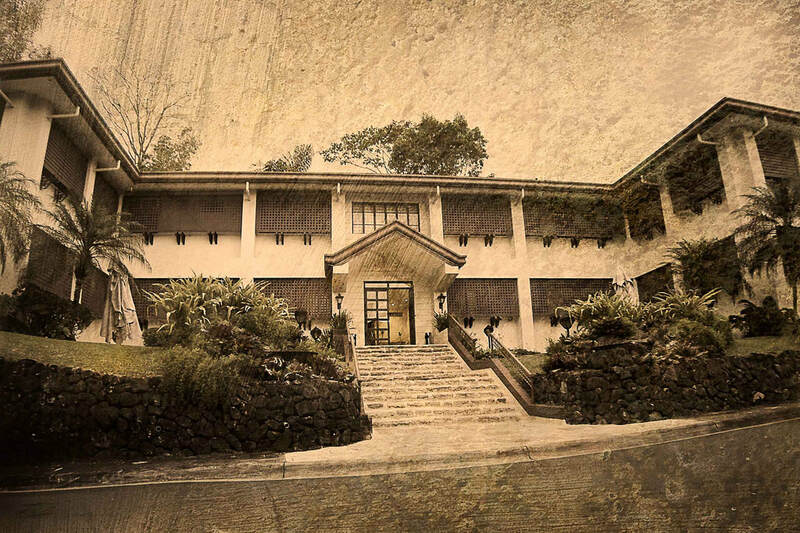 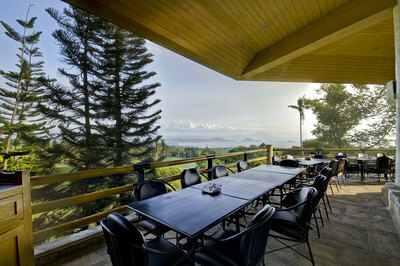 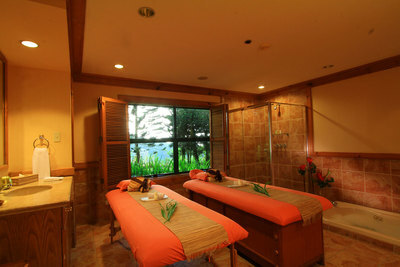 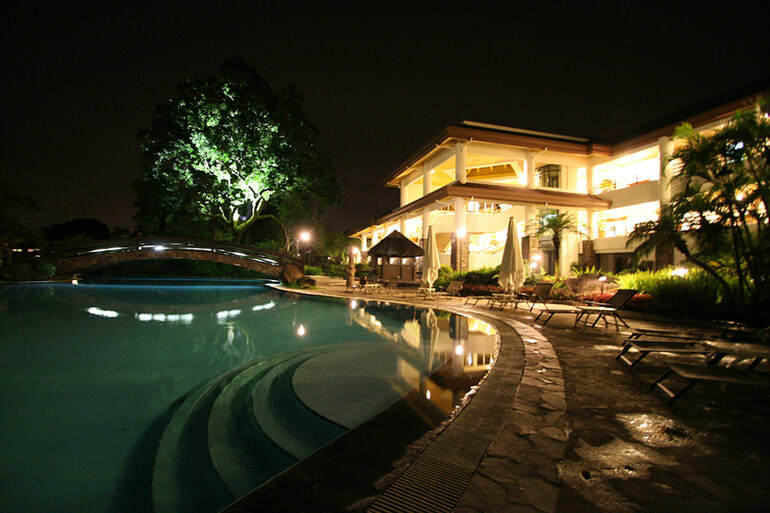 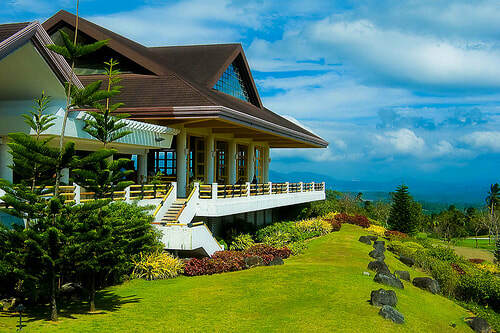 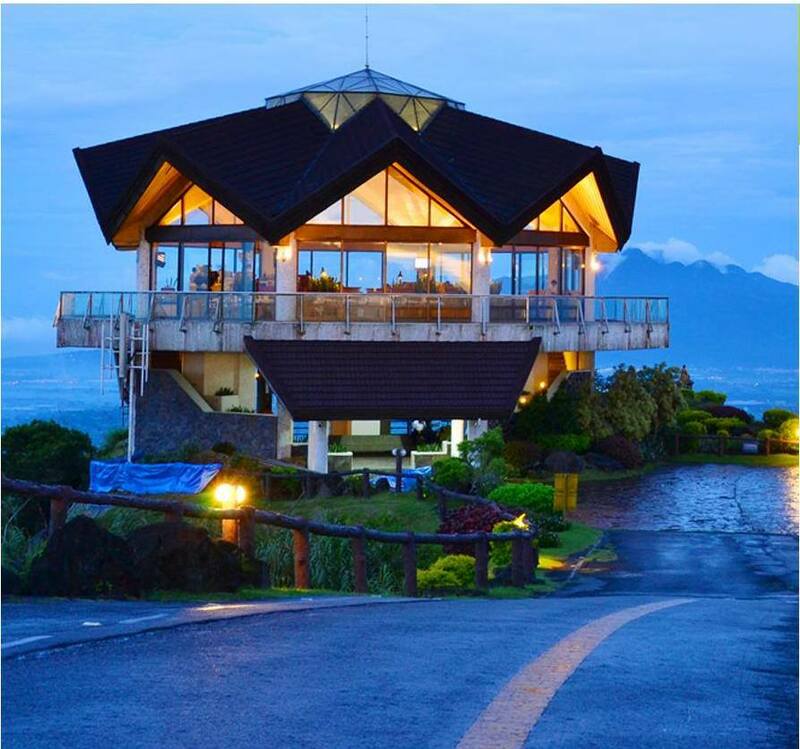 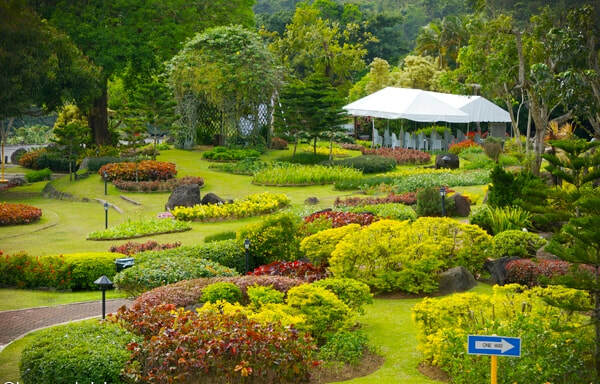 --located at the highest point of Tagaytay Highlands. 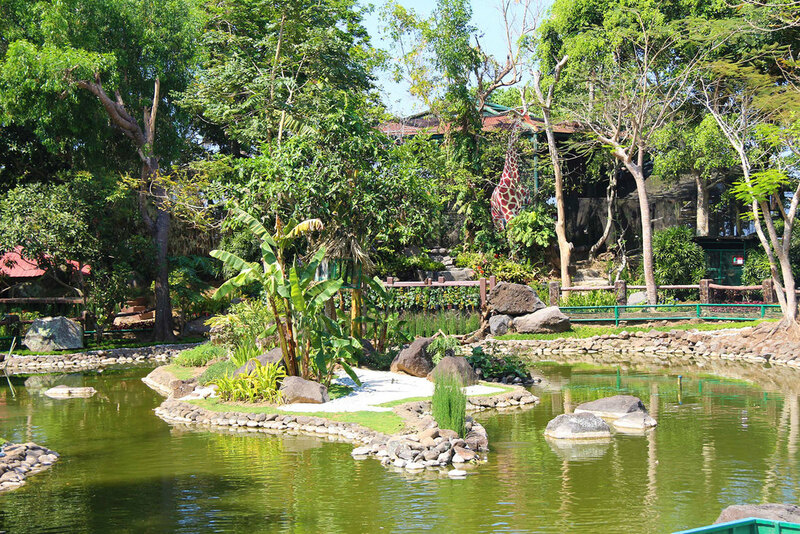 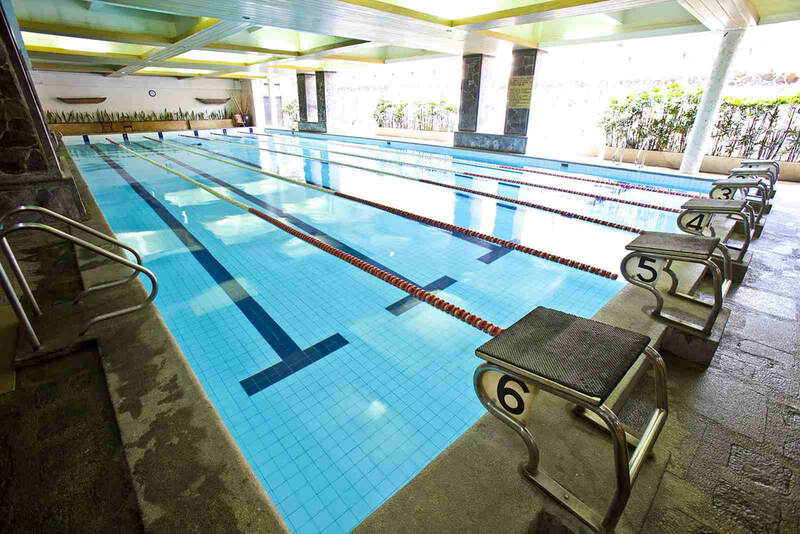 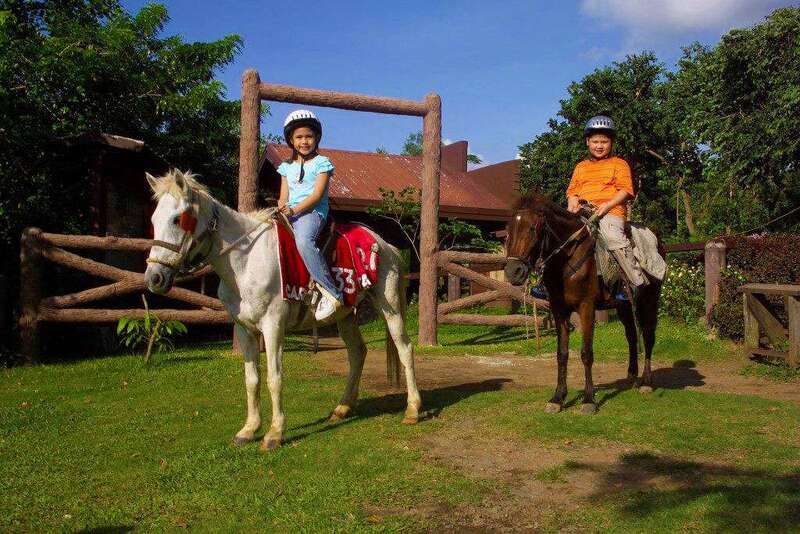 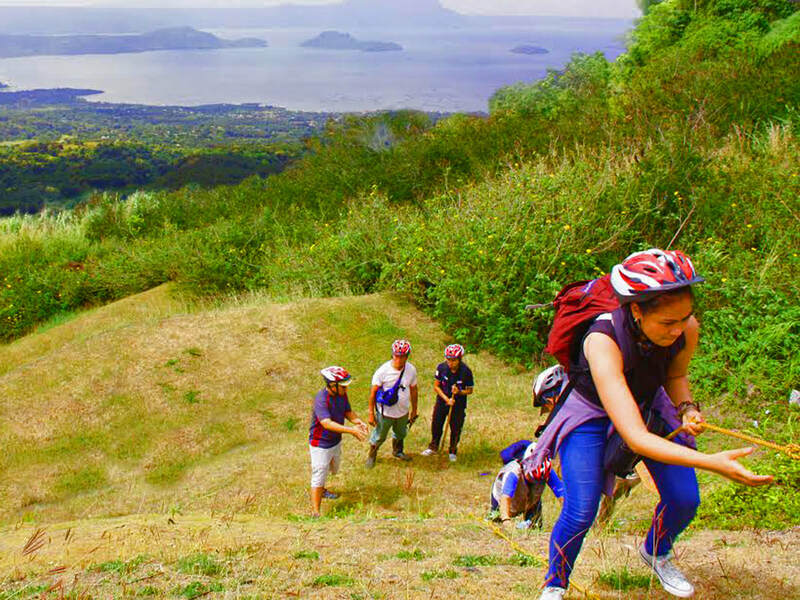 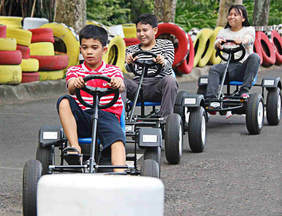 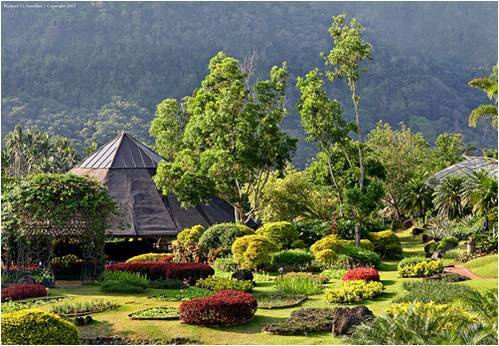 Engage in outdoor sports like horseback riding in Tagaytay Highlands and pony rides for the kids. 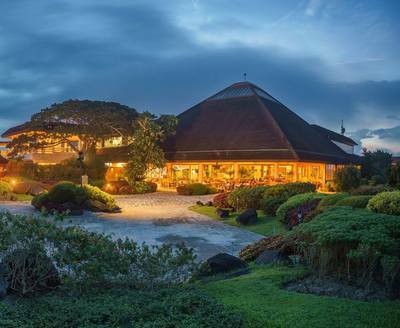 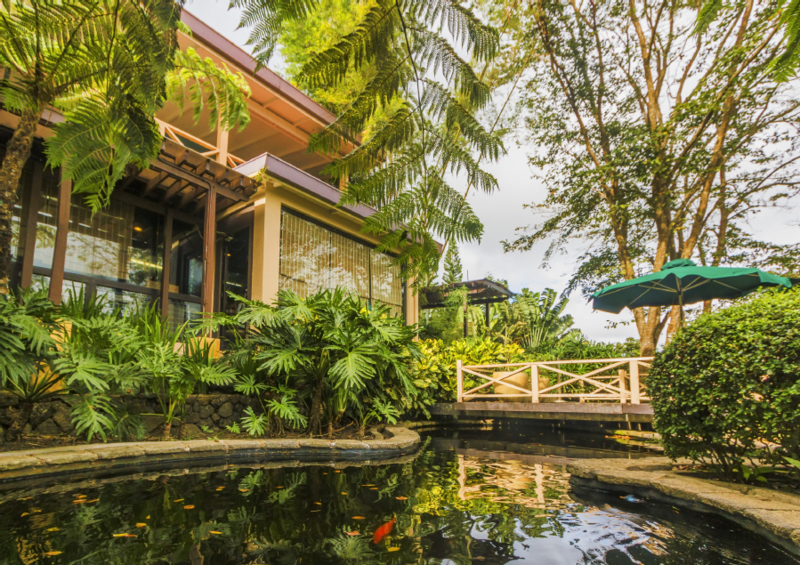 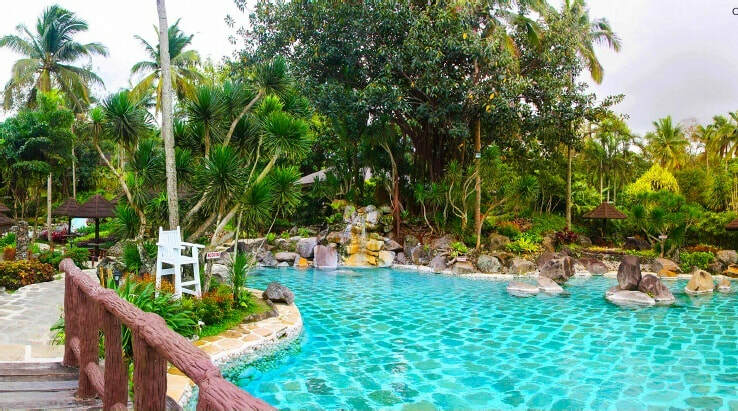 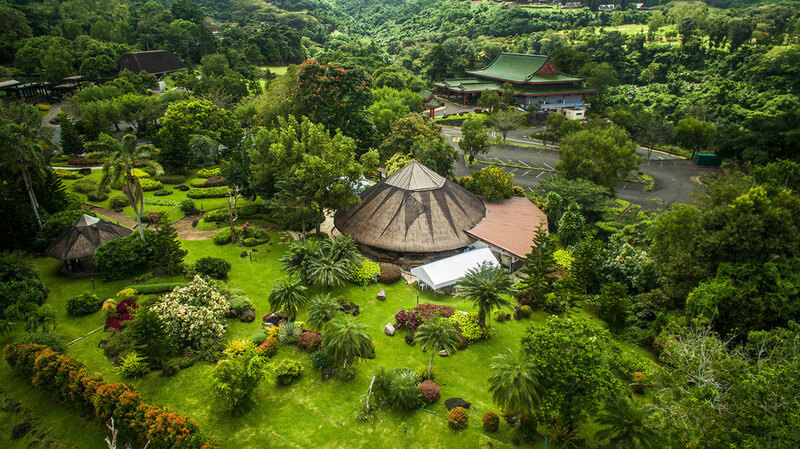 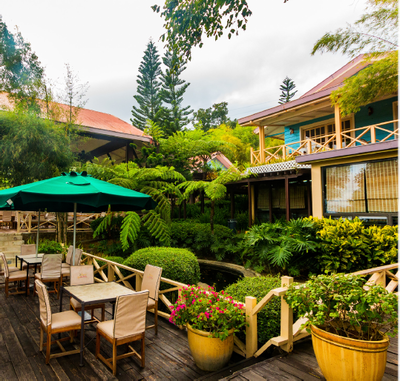 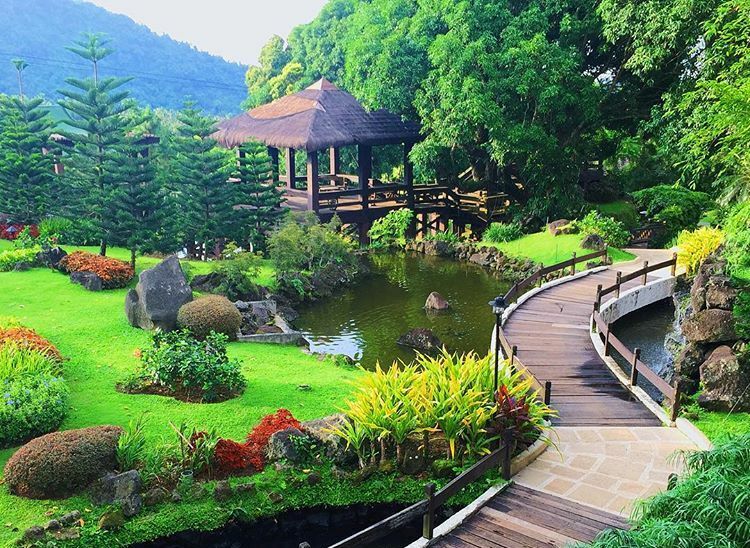 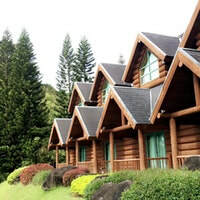 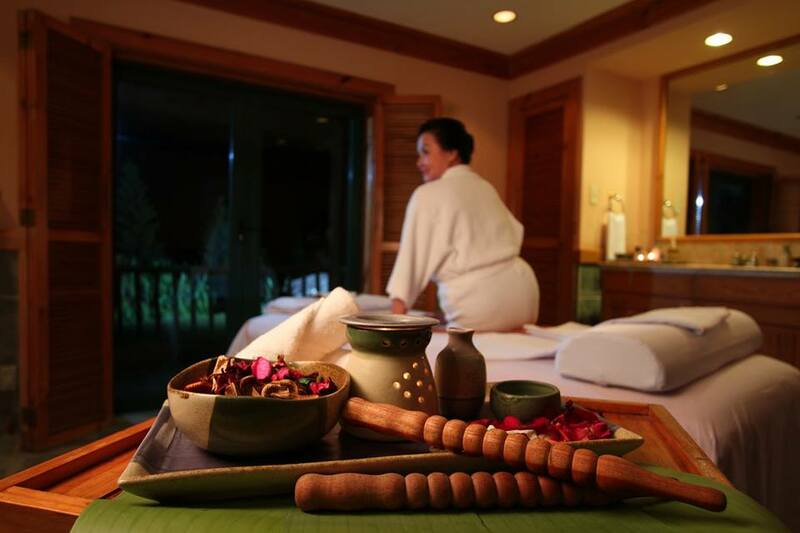 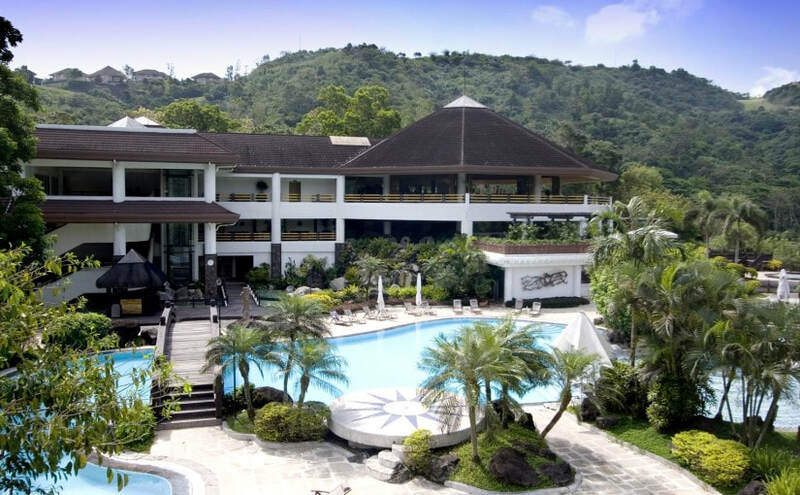 Situated on one of the highest points of Tagaytay Highlands, The Spa and Lodge offers its members the best accommodations and the ultimate in relaxation therapy and beauty treatments. 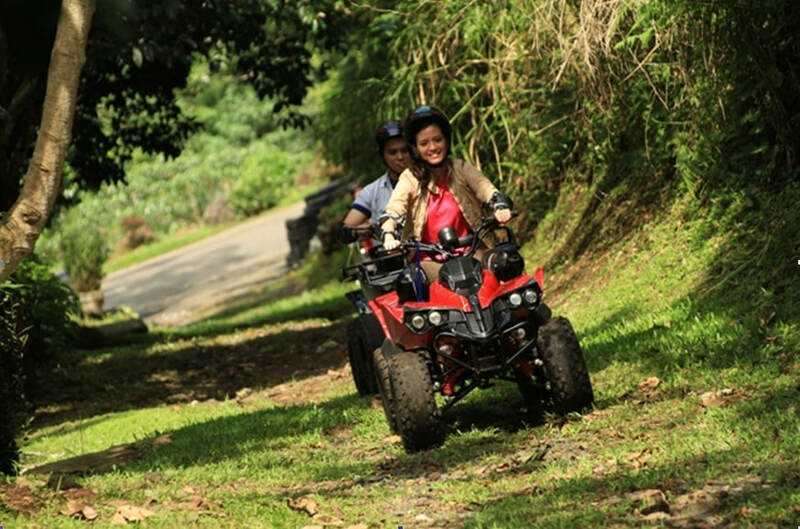 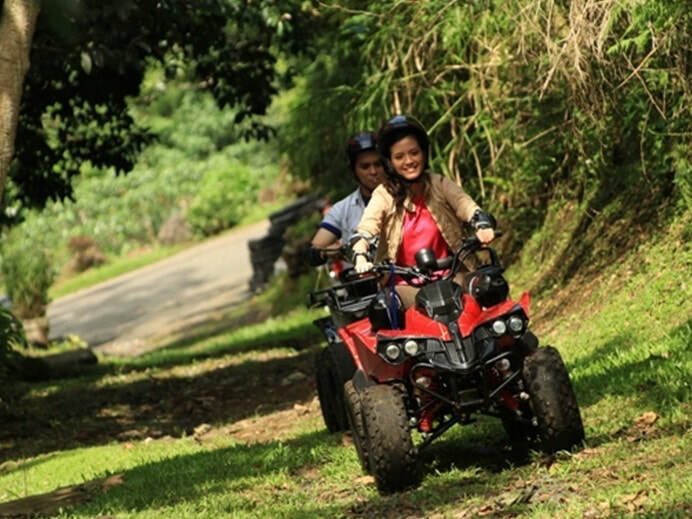 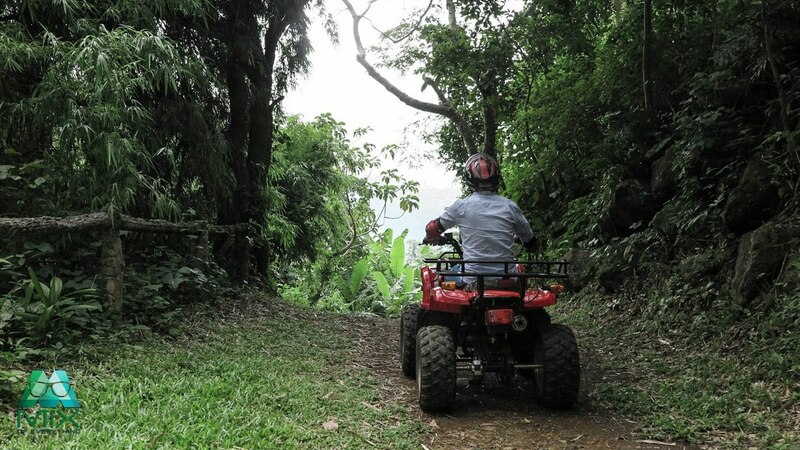 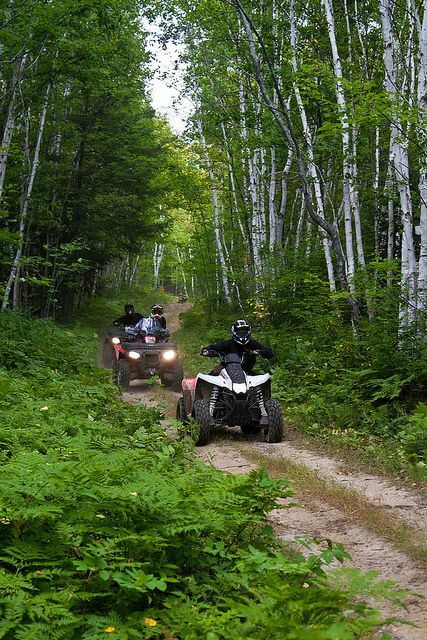 Explore nature and take in picturesque vistas while riding an ATV. 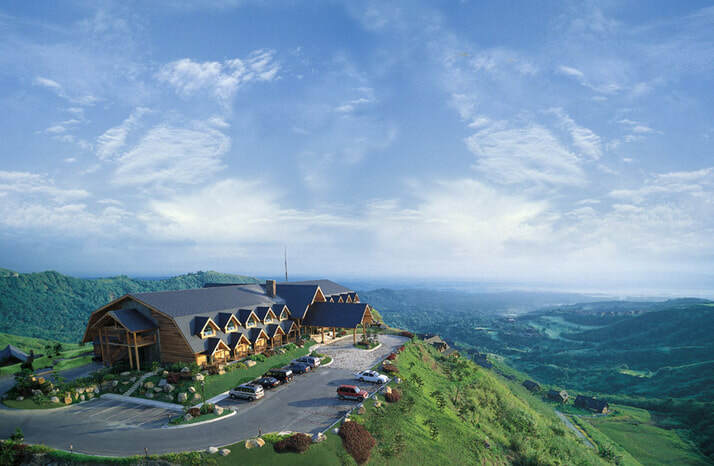 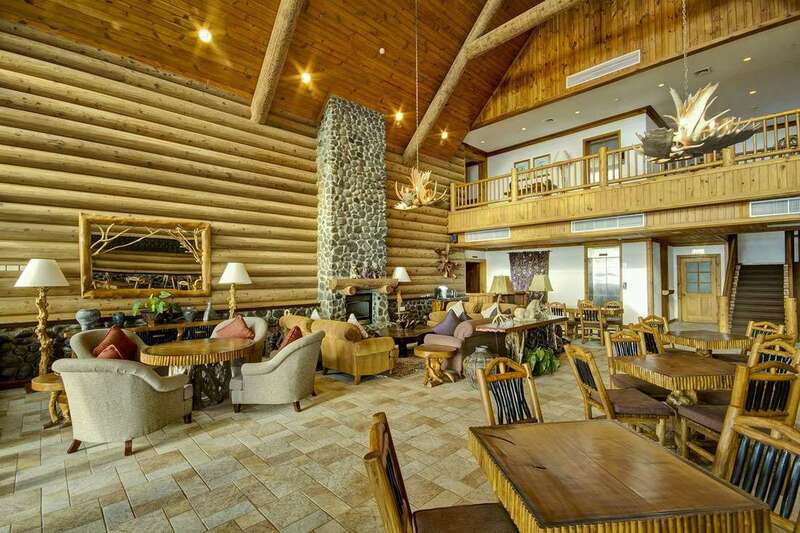 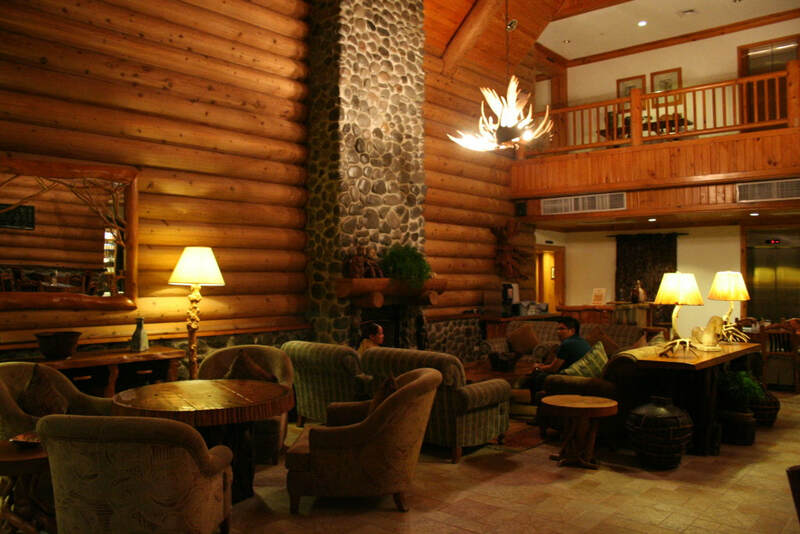 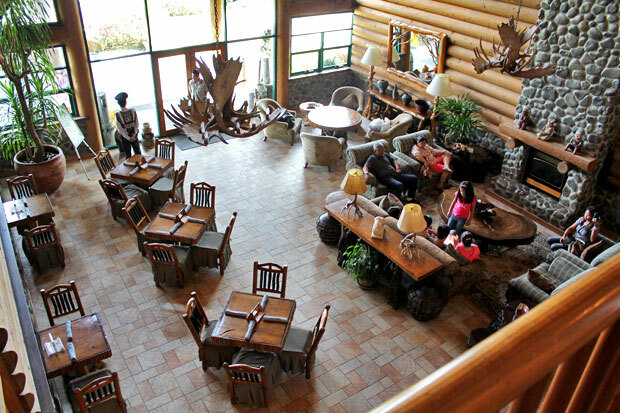 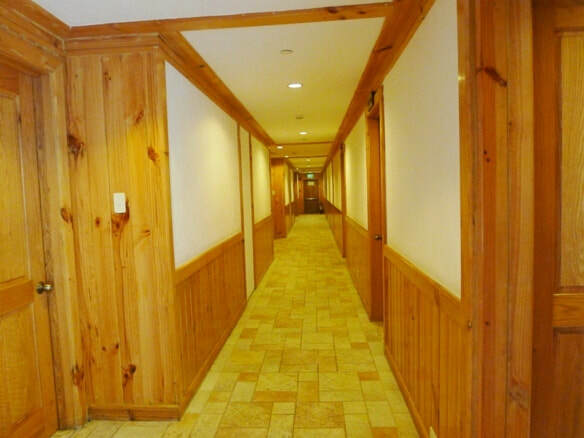 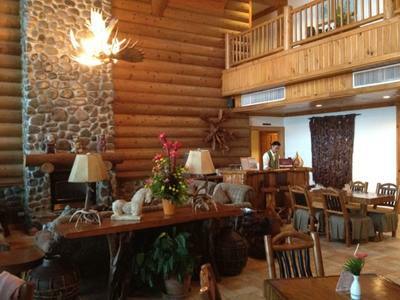 Enjoy the natural feel of Camp Highlands. 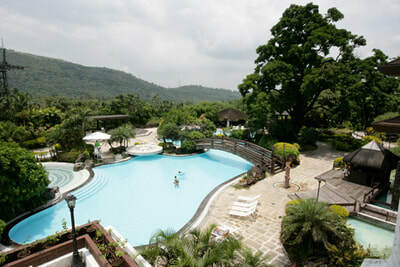 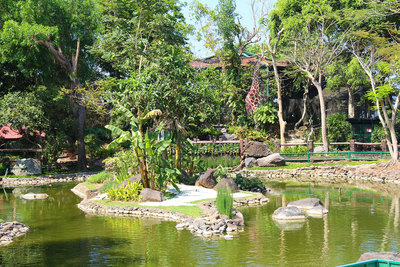 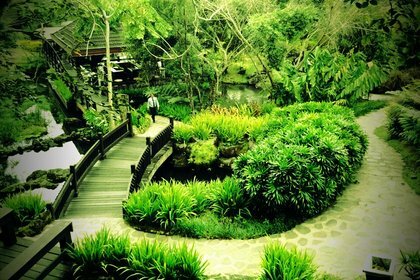 Closest to the camping grounds, and trekking area, one will delight on the natural landscapes or take a dip on its pool. 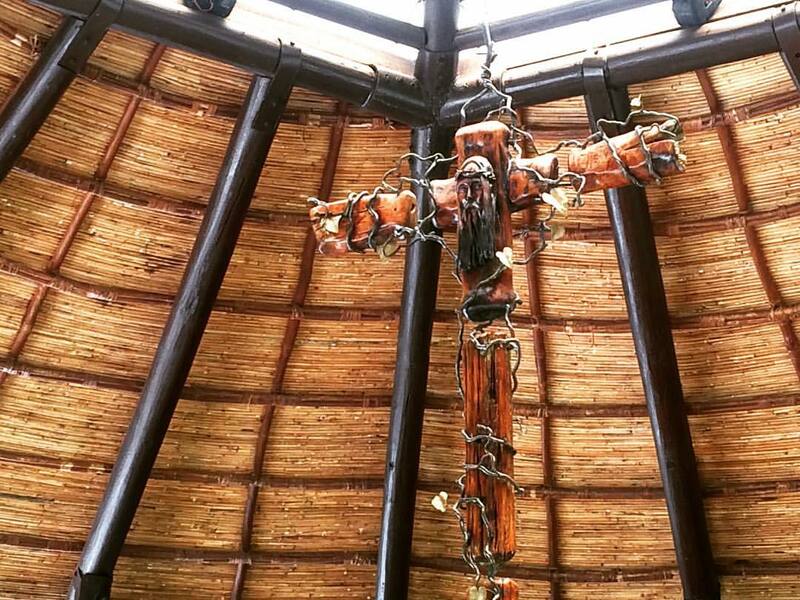 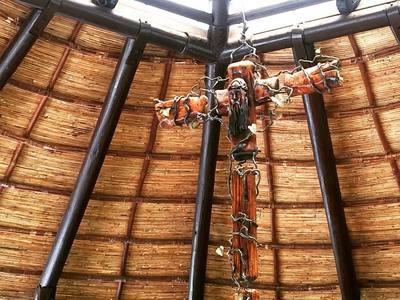 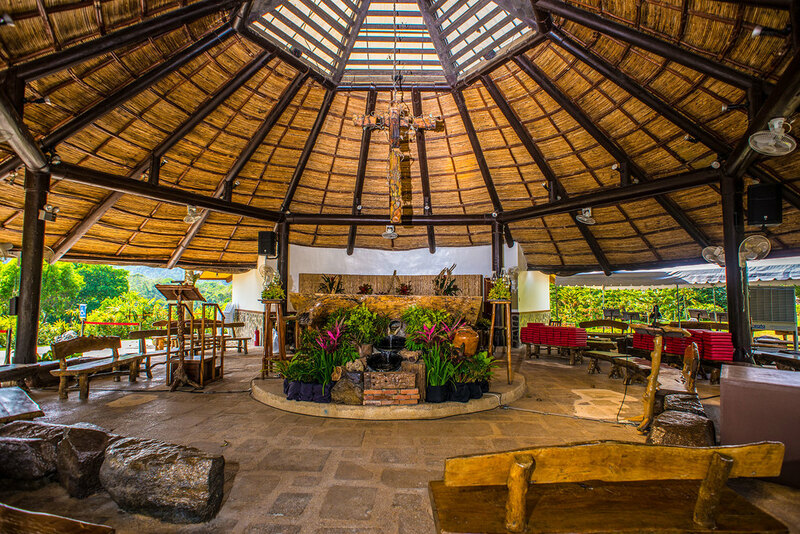 ​An open-air chapel with thatched roof, wooden details and central altar surrounded with lush blooms and foliage perfect for a rustic and romantic renewal of vows and wedding anniversaries. 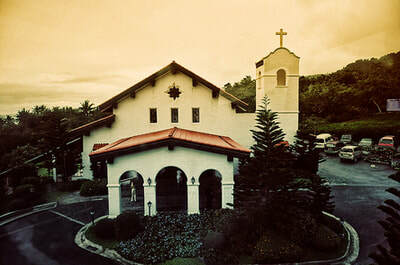 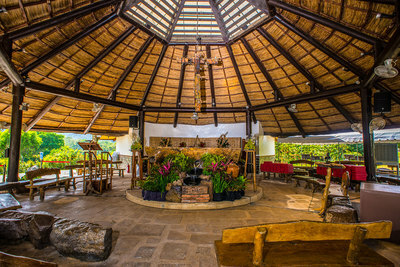 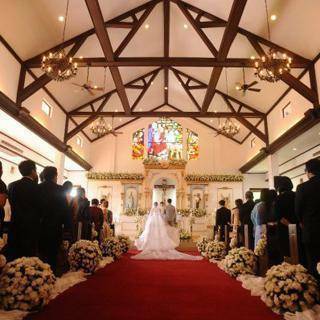 Chapel rates are inclusive of wedding donation to the parish covering documentation fees, red carpet rental, altar candles, simple altar floral arrangements and basic sound system. 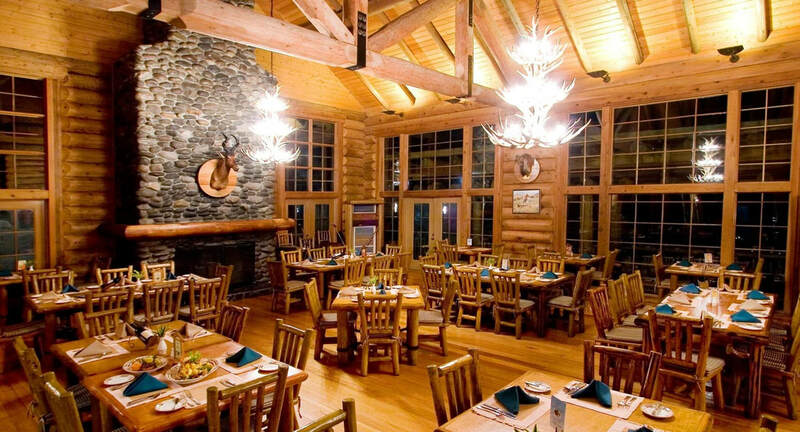 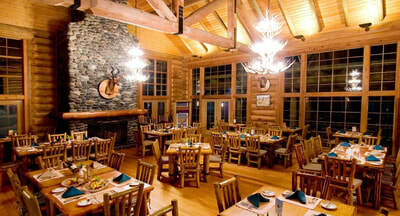 Offers a combination of Southern comfort food and healthy gourmet treats. 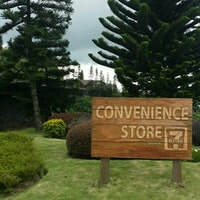 Located within the Pick and Pay Farm, the Greenlands. 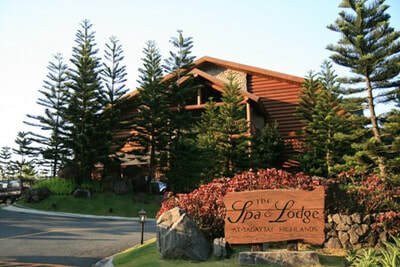 The Spa and Lodge is one of the best places to do so in the property. It is a central point of tranquility in the community, offering the ultimate in relaxation therapy with a wide variety of spa treatments available for you to choose from. 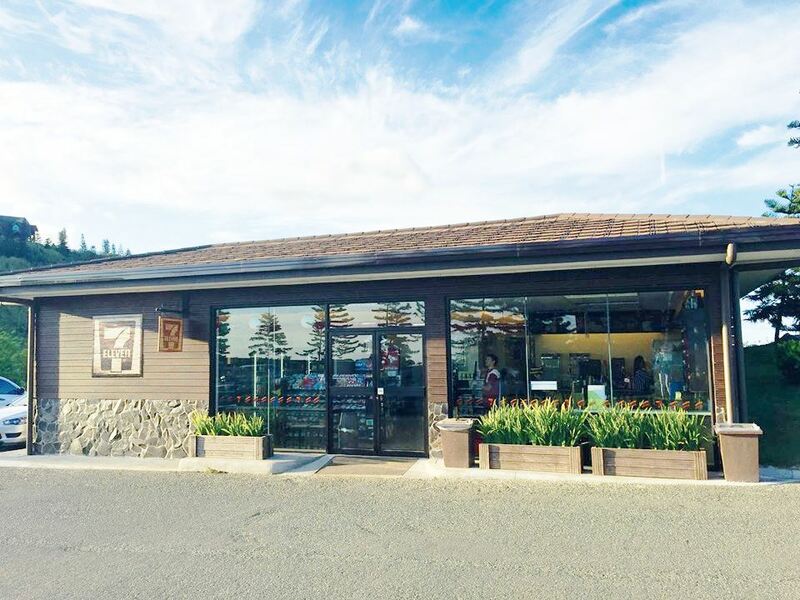 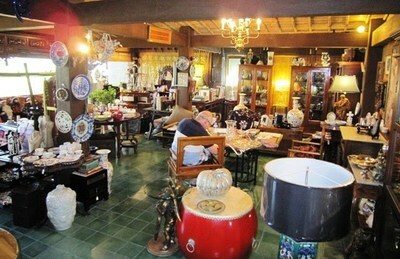 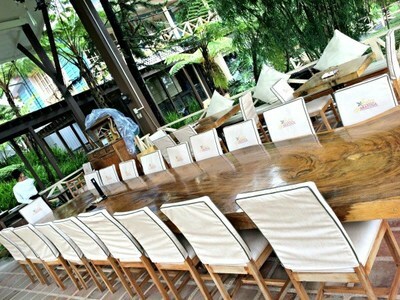 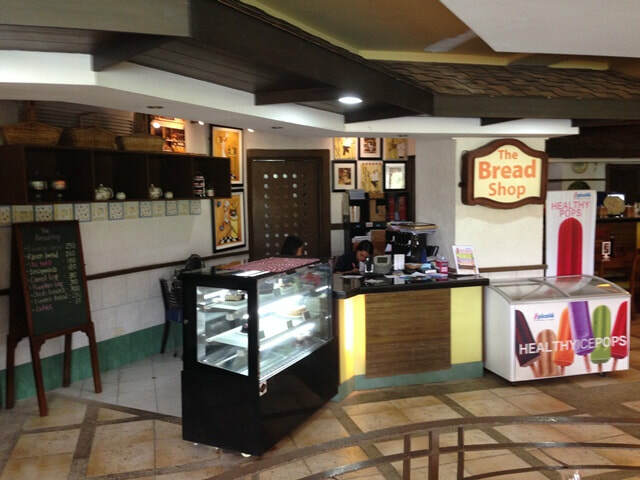 ​Sells an array of specialty breads, cookies, cakes and pastries exclusive to Tagaytay Highlands. 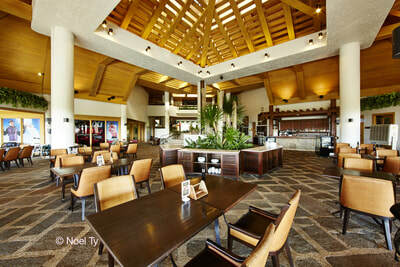 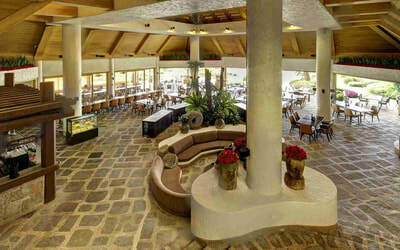 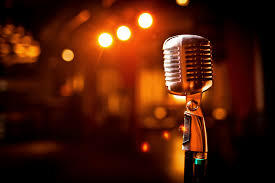 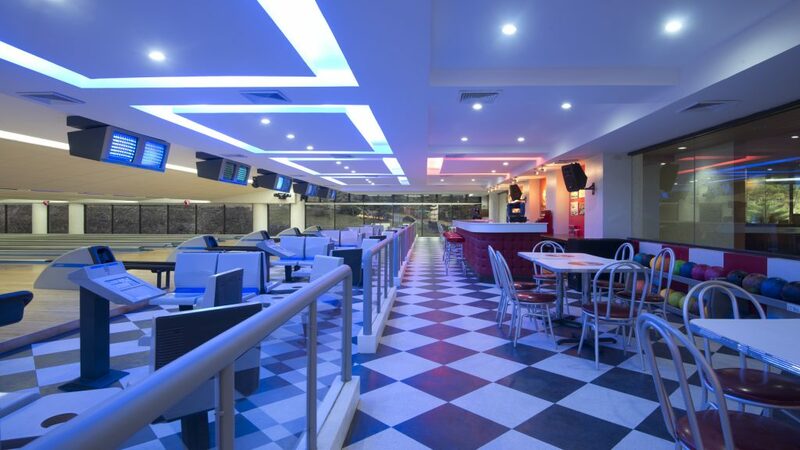 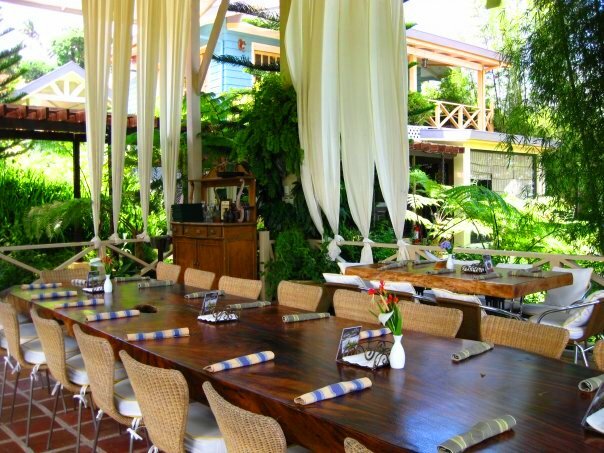 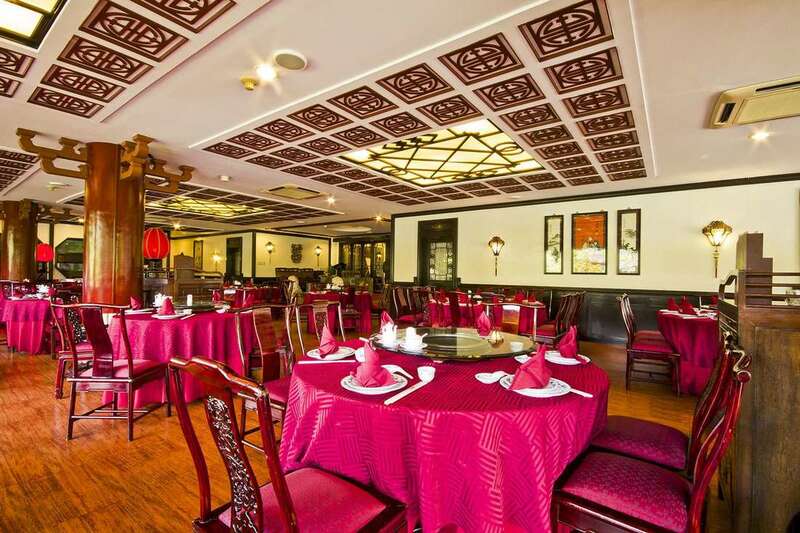 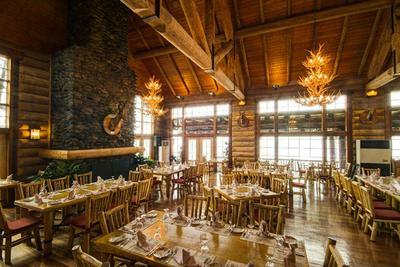 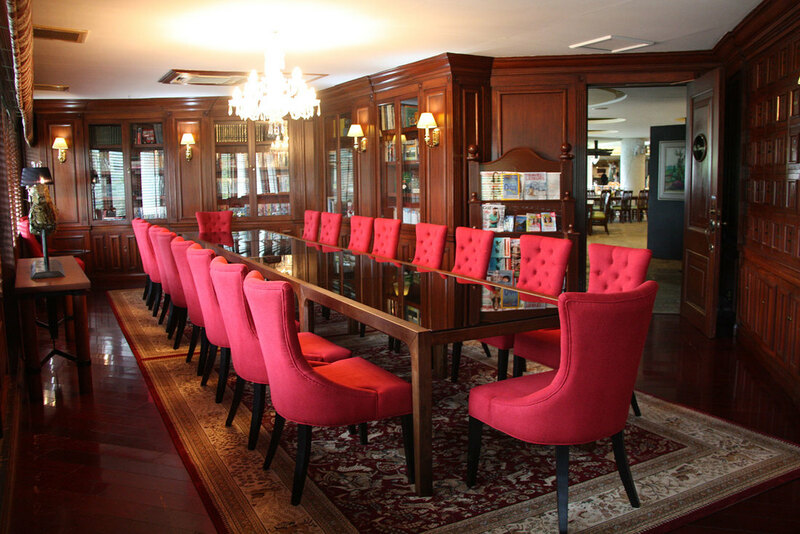 ​Located on the main floor of The Country Club along the Gourmet Avenue. 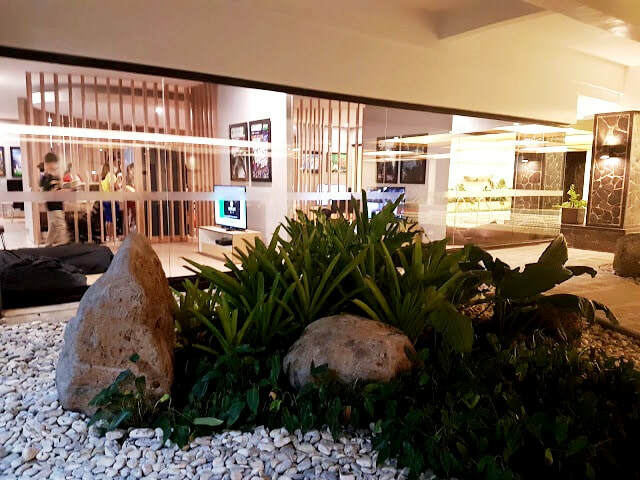 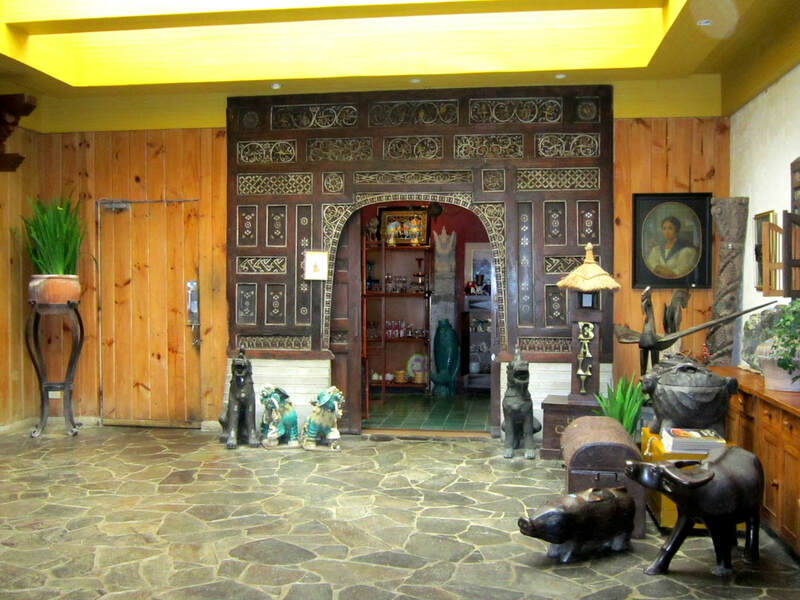 Nestled in the club's second floor and taking the first step inside the shop gives you a sense that you are in a different country with its ethnic architrave. 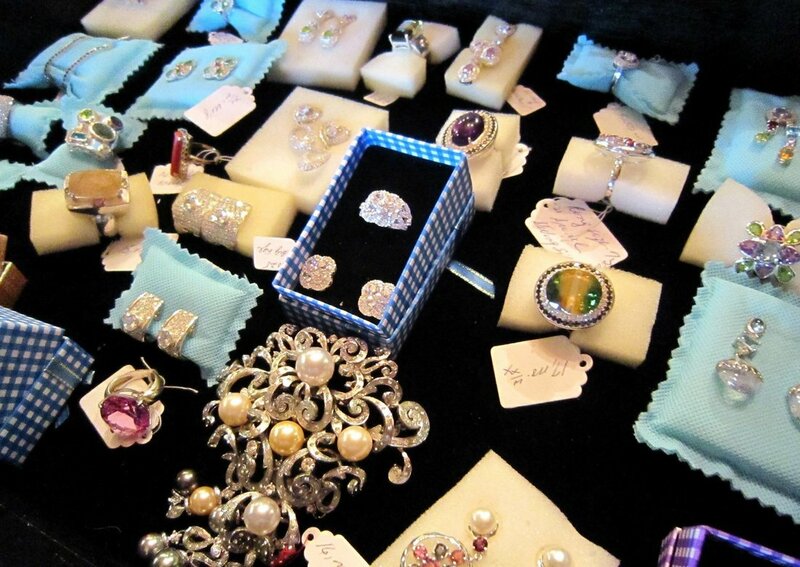 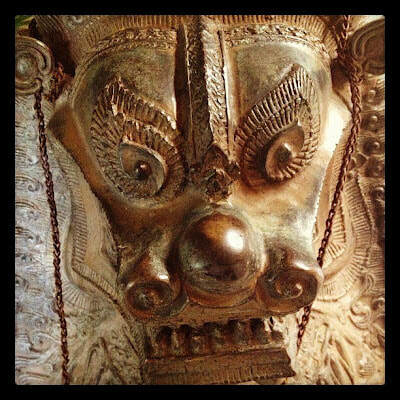 Each wall and corner is placed with items antiquity that are made from the Middle, South or South East Asian countries, Europe, and handmade jewelry with precious stones set in gold or sterling silver, preloved coffee table and pocket books. 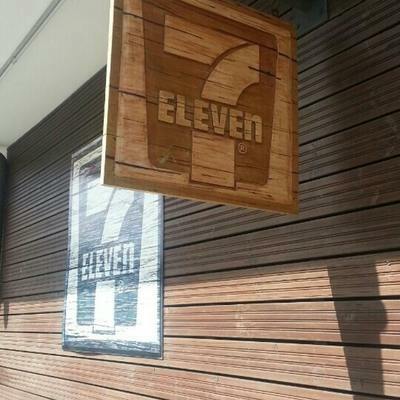 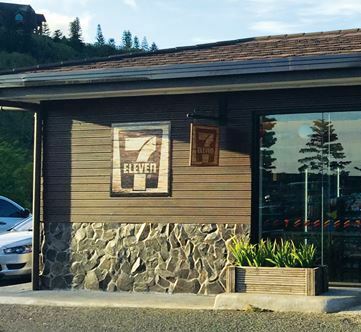 Have you ever seen a 7 Eleven like this? 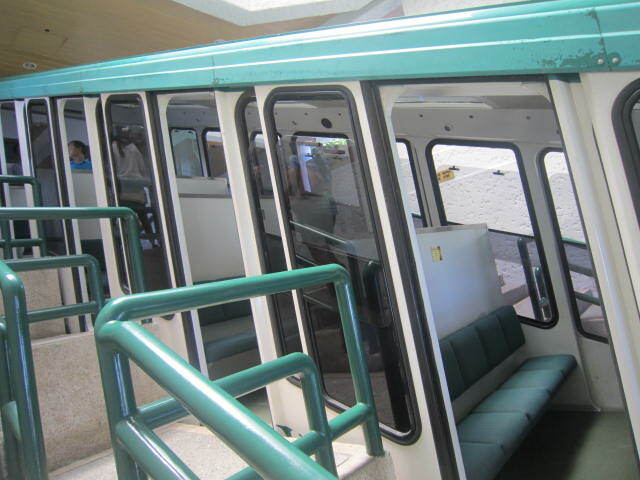 Lifeline Ambulance is the club’s provider of immediate medical assistance. 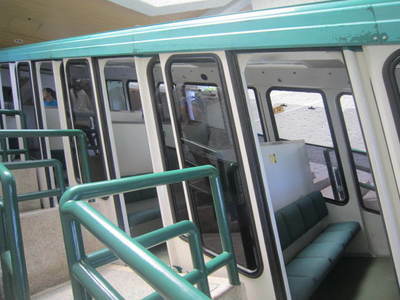 It is a fully equipped state-of-the-art EMT unit which includes a dedicated standby on-site crew of two licensed nurses and an EMT driver, Emergency Medical Situation (EMS) basic medicines, equipment, and supplies, like a cardiac monitor and defibrillator, vital signs monitor, oxygen, suction machine apparatus, immobilization, and patient transport devices. The ambulance will provide services to all club members, residents, guests, employees, staff, and management, including use of any of its on-board supplies and equipment while inside the ambulance en route to the hospital. 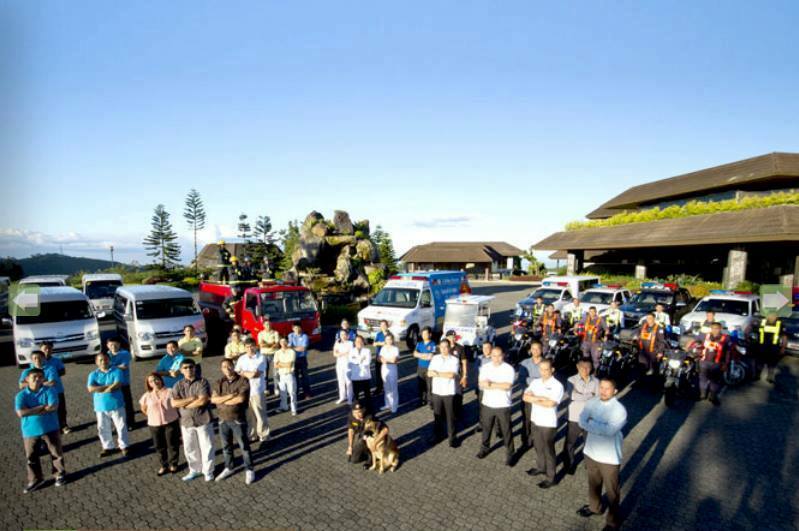 With our 24/7 Emergency Response and First Aid Team, you are sure to have round-the clock medical service. Your health and safety is our concern. 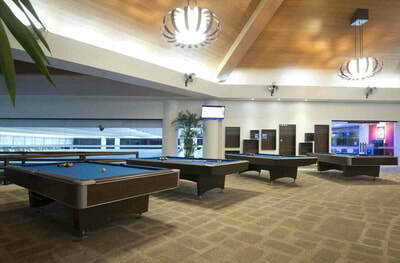 Clinic also located at The Sports Center and is open 24 hours everyday. 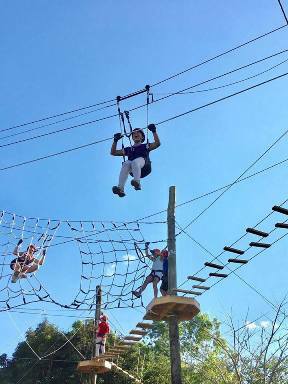 Two courses in one aerial walk park. 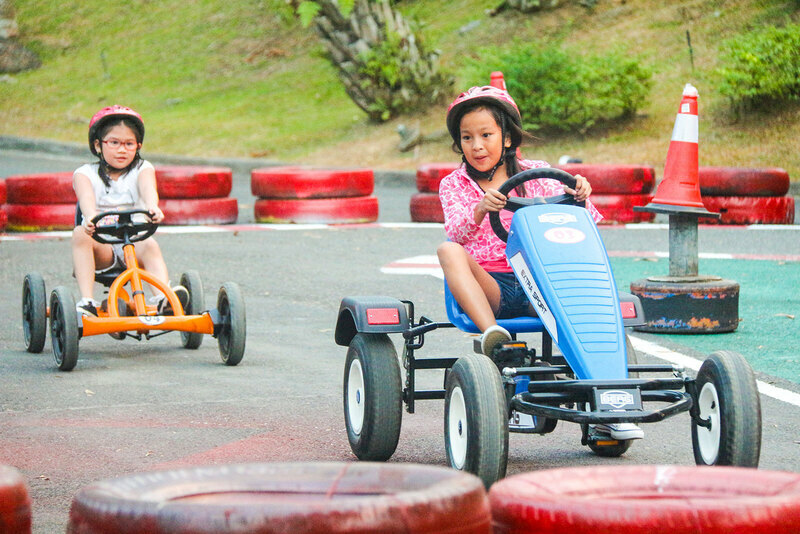 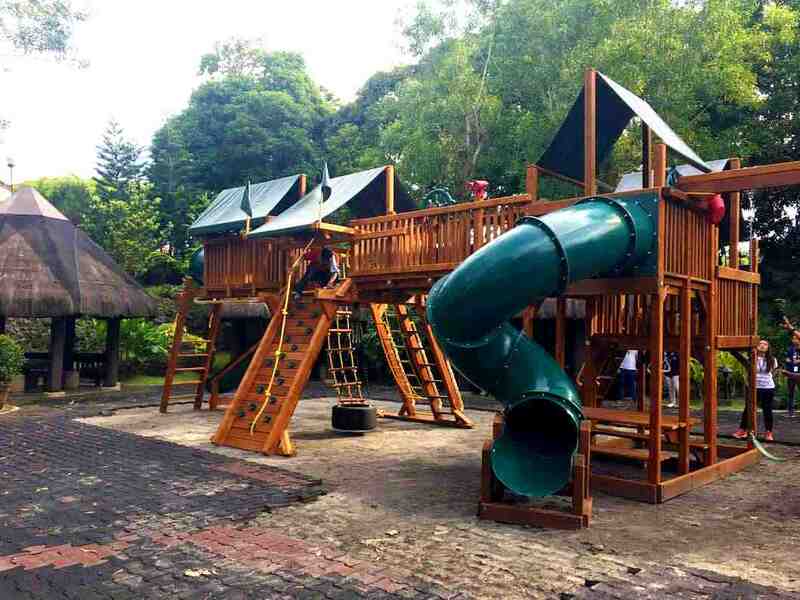 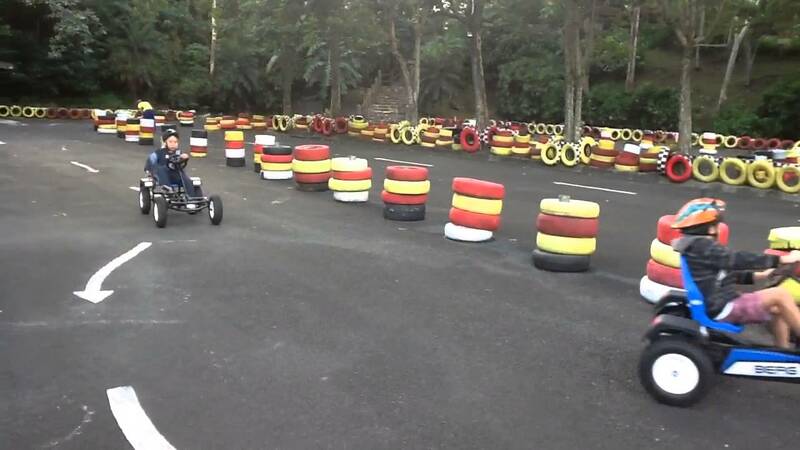 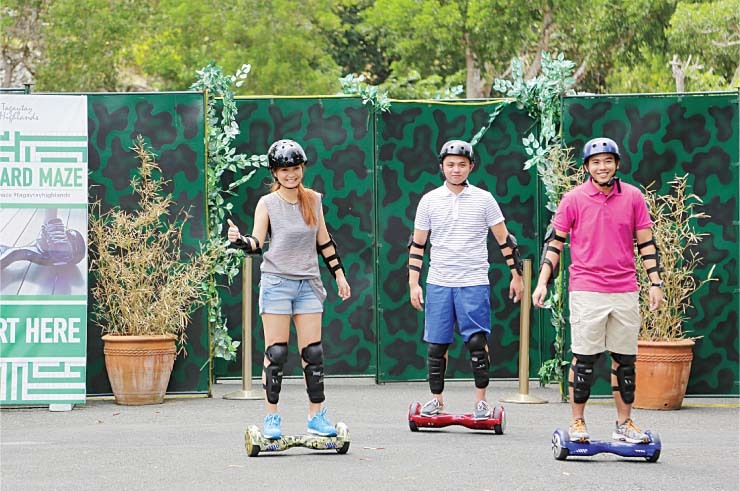 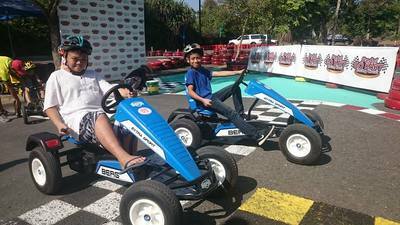 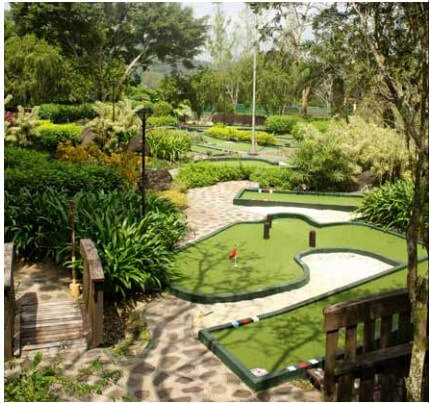 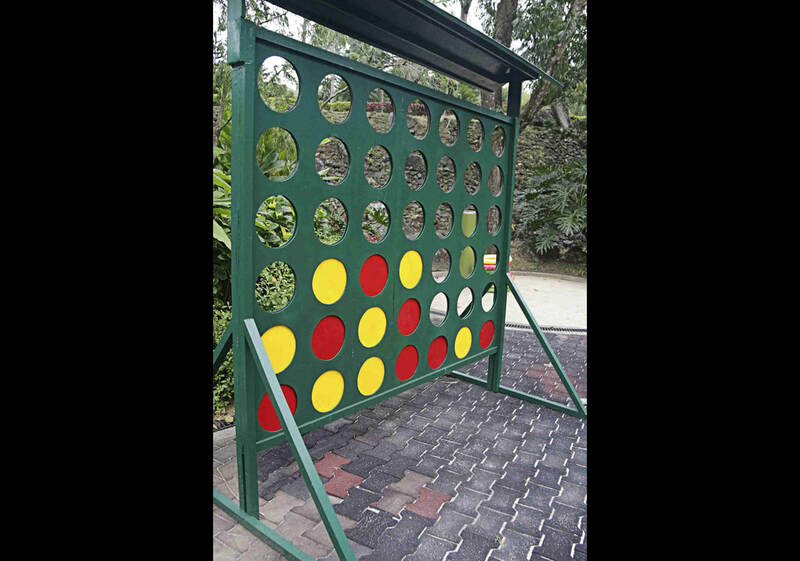 Have a smooth trail at the Kids Course or one can venture at the extra-challenging Adult Course. 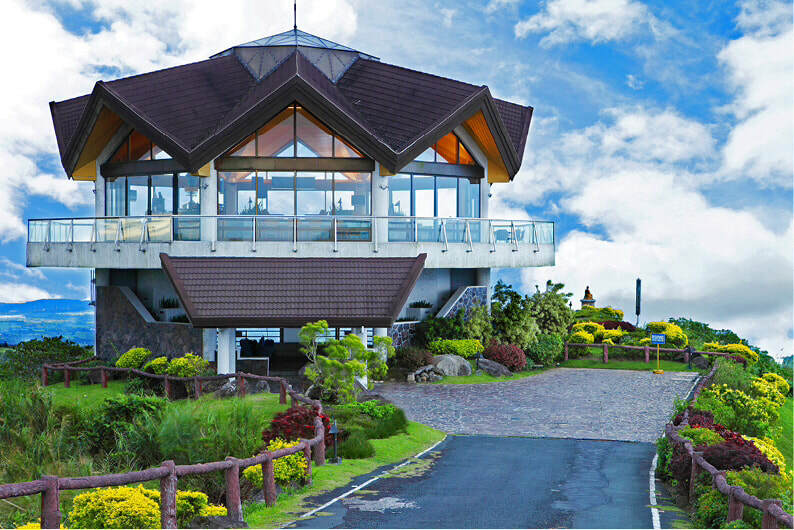 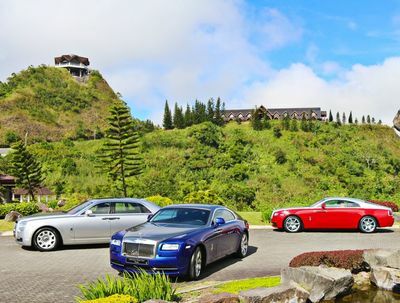 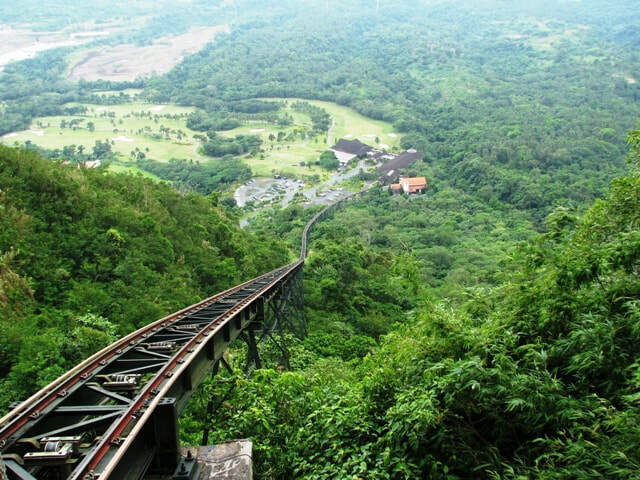 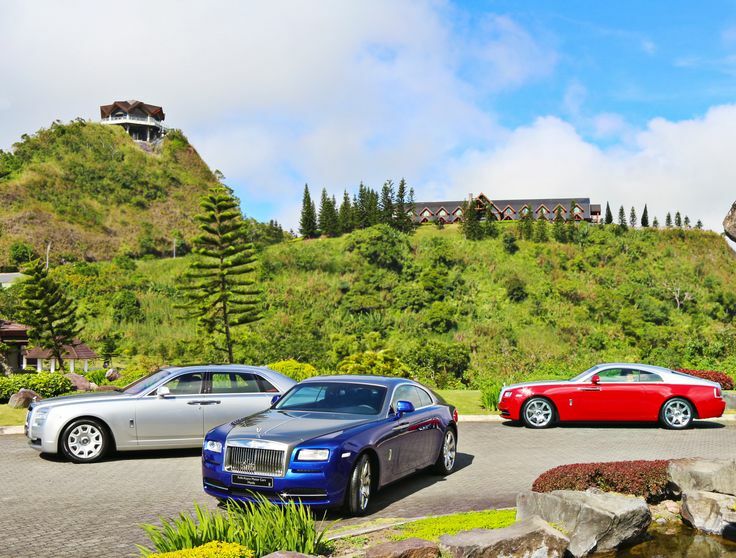 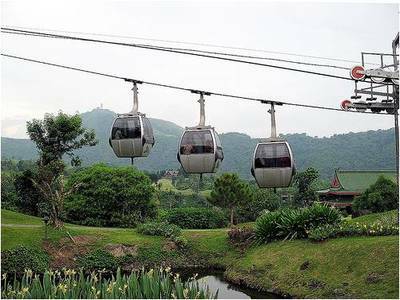 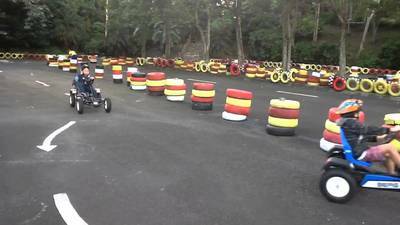 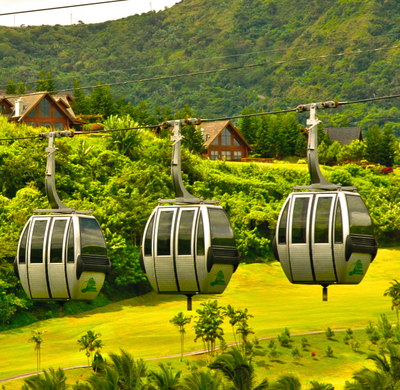 Enjoy the fun heights at Tagaytay Highlands. 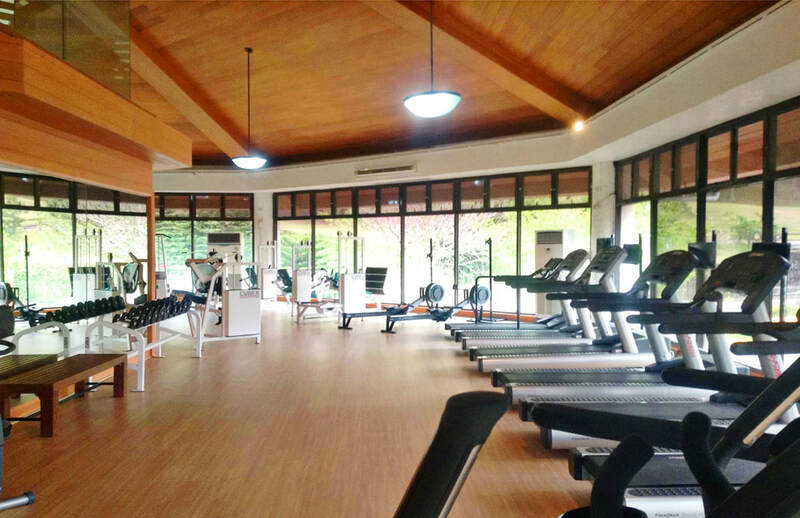 For inquiries, please call The Sports Center at (0917)5830848. 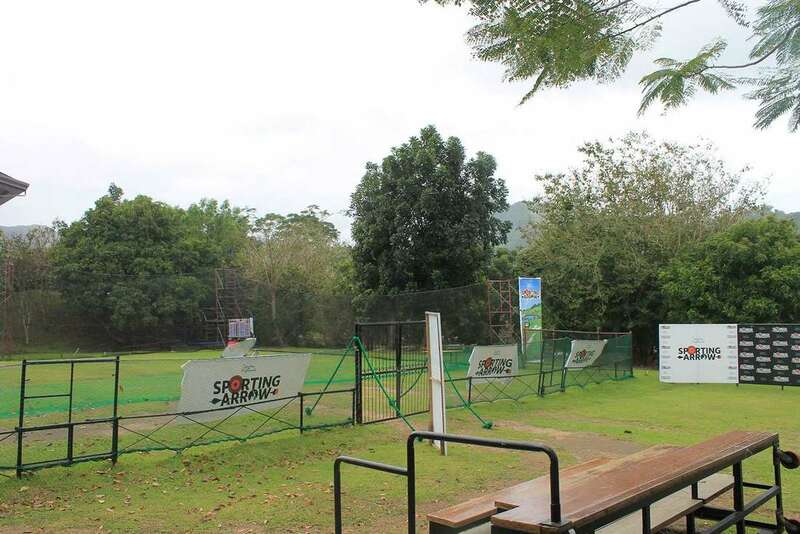 Score or block a goal at the Futsal Court. Dare to be bold with Highlands Archery. 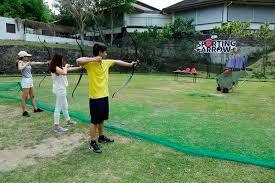 Archery with pointed arrows and recurve bows. 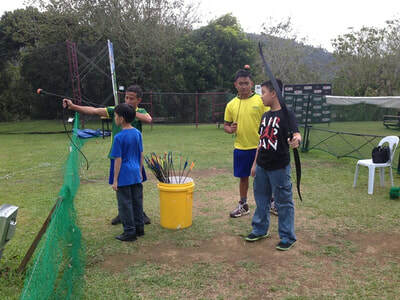 Battle around with teamates at the Combat Archery. 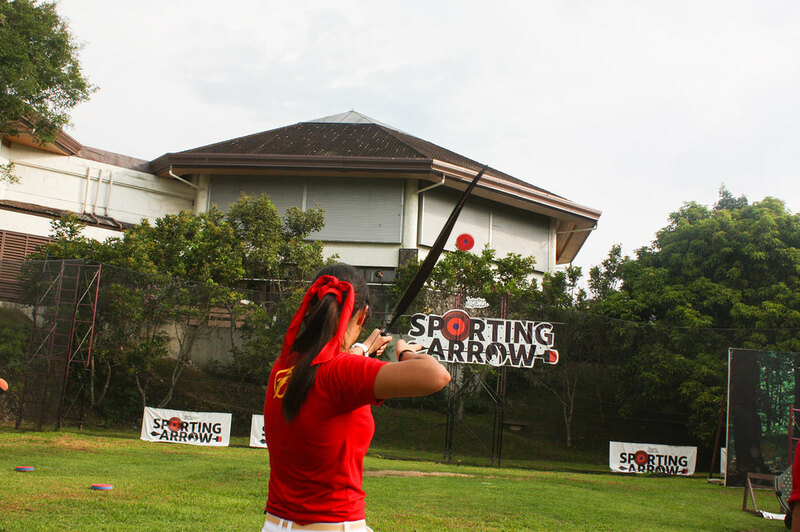 Competitive combat experience using bow and foam head arrows. Explore the forest canopy of Camp Highlands with Trail Buggy. 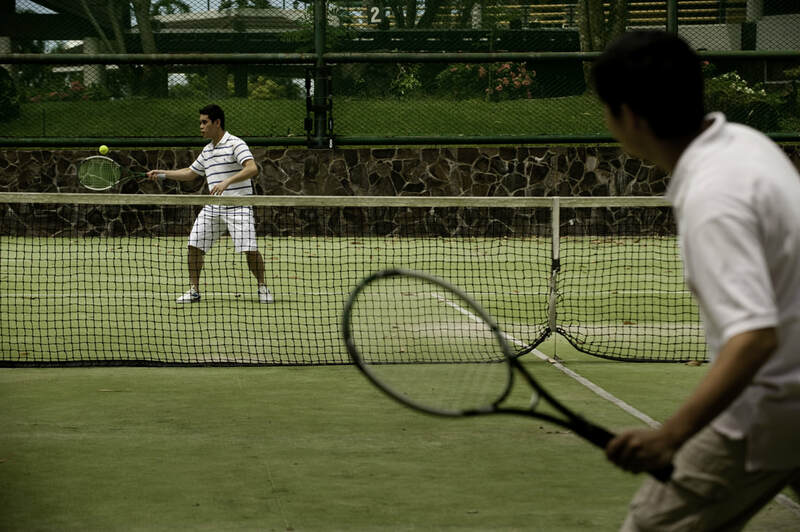 Start by serving the ball and hitting back and forth to each side of the court. Something new and exciting Aerial Walk. 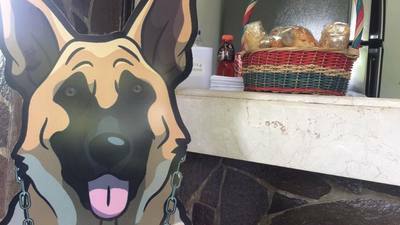 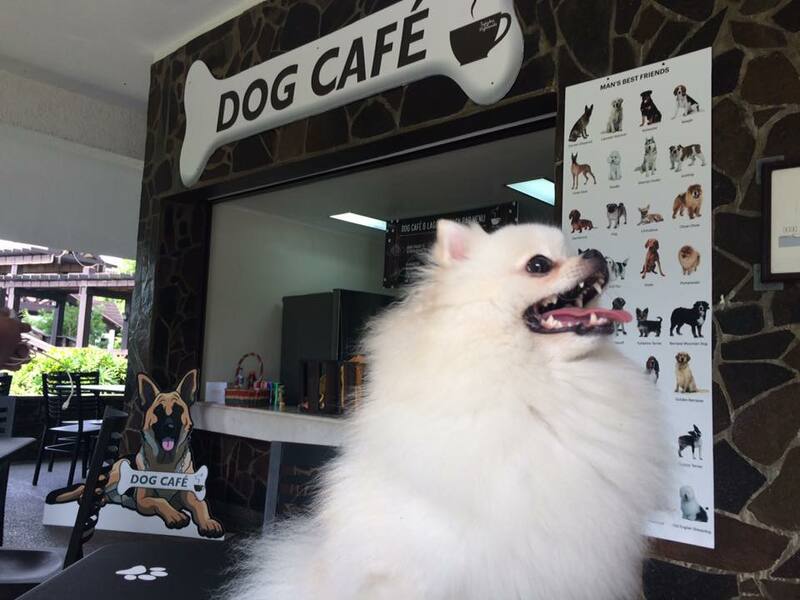 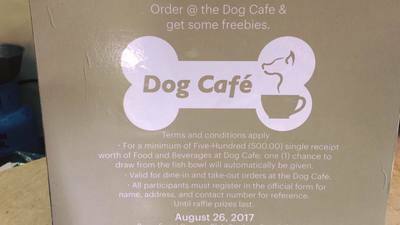 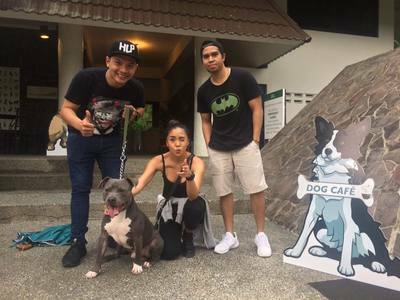 Visit Dog Cafe and avail of the Dog Cafe promo for members and their guests! 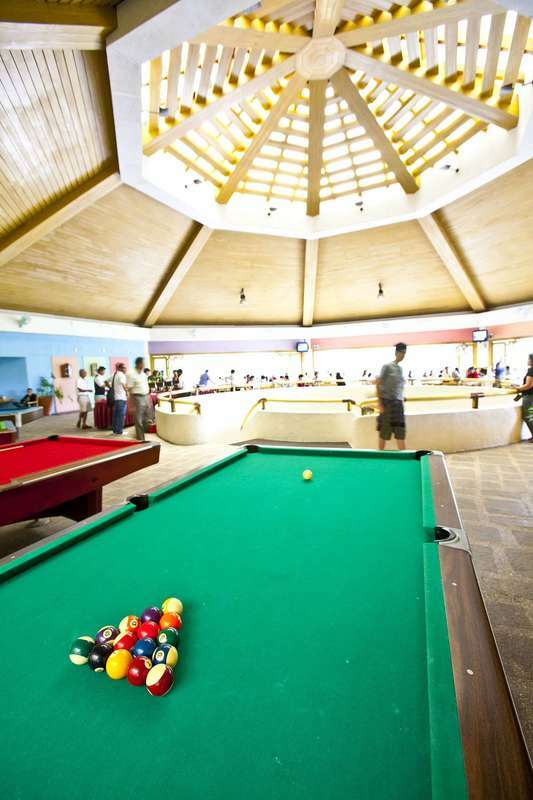 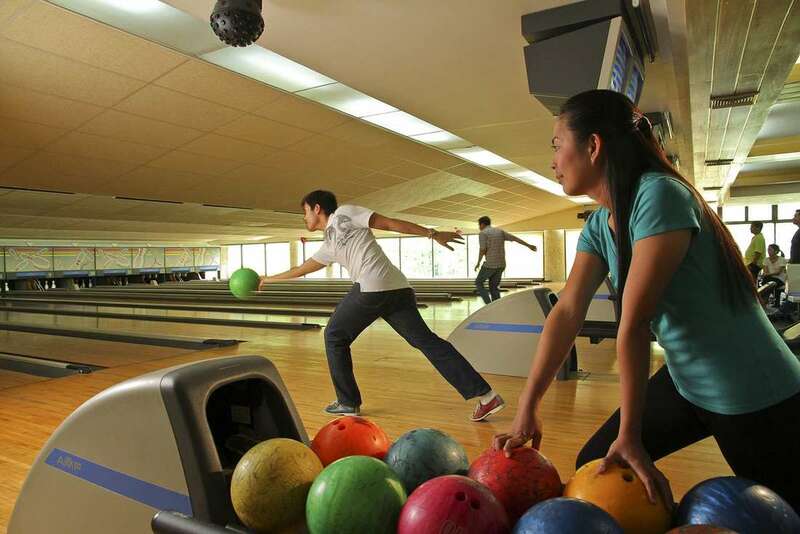 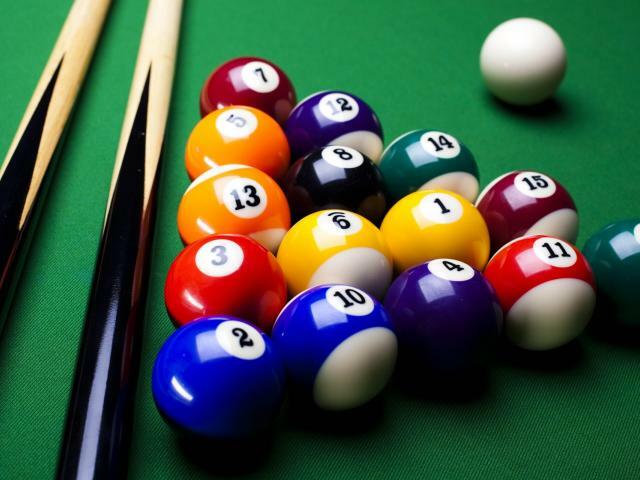 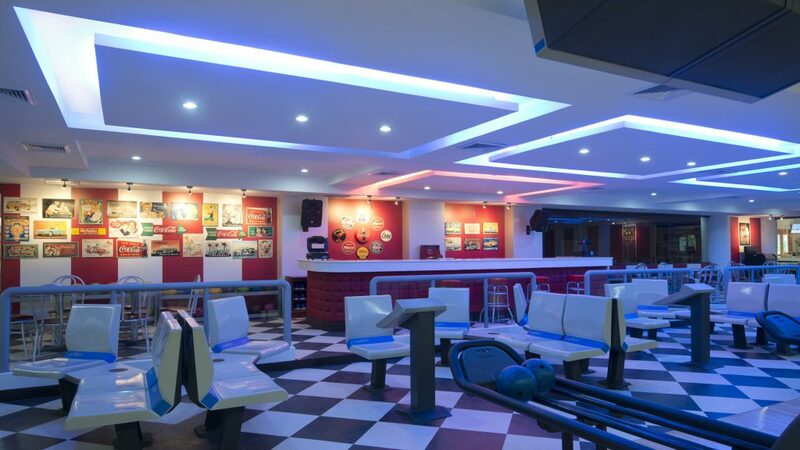 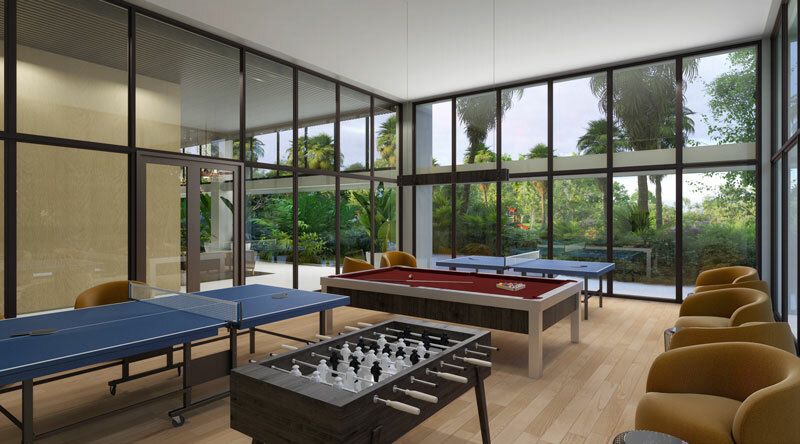 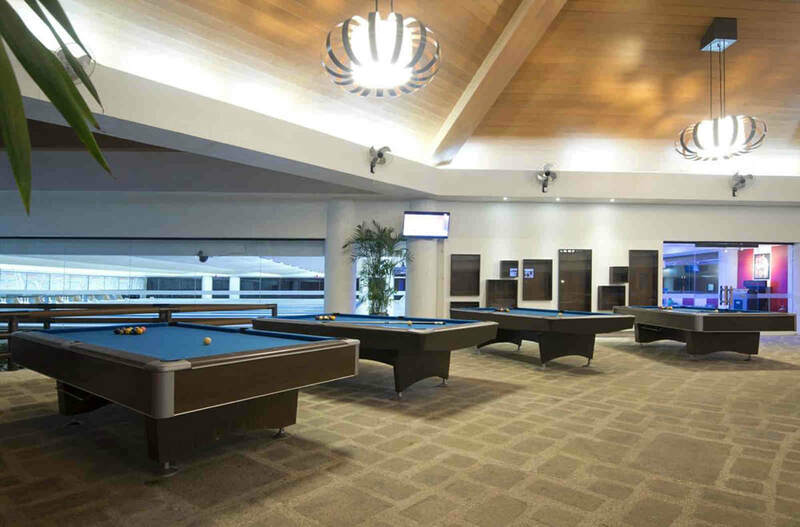 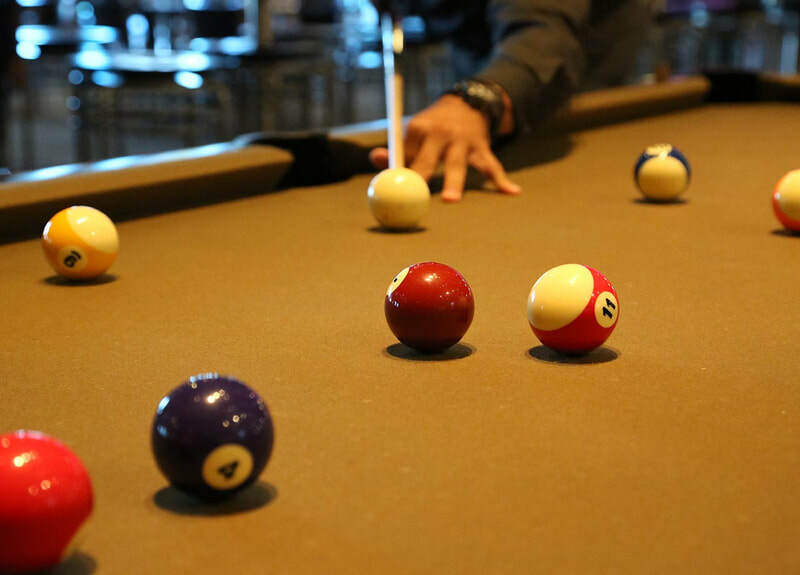 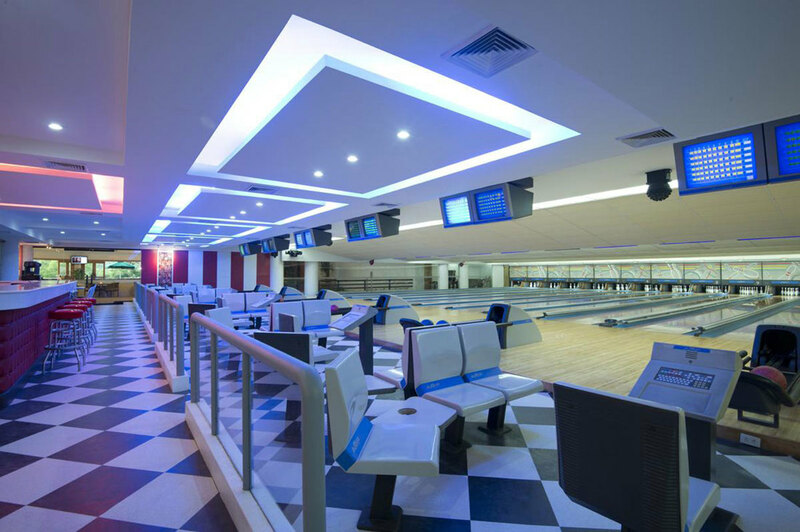 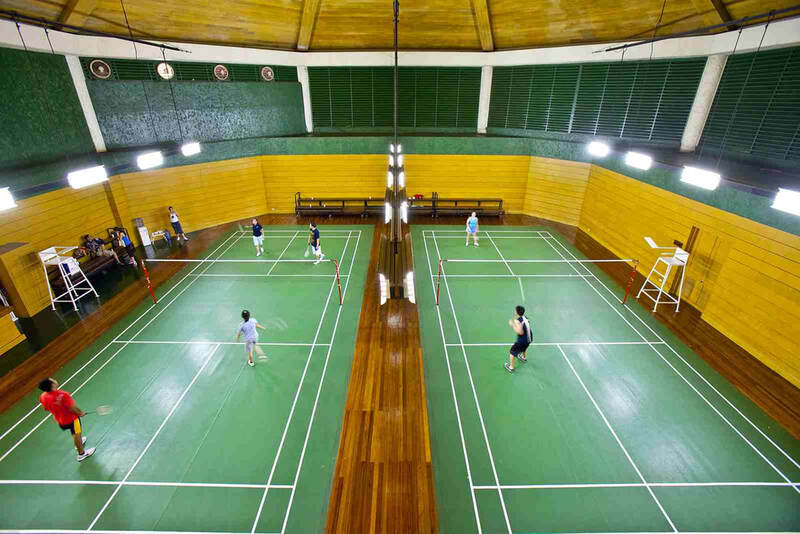 Billiard hall provides a spacious environment to enjoy indoor fun.